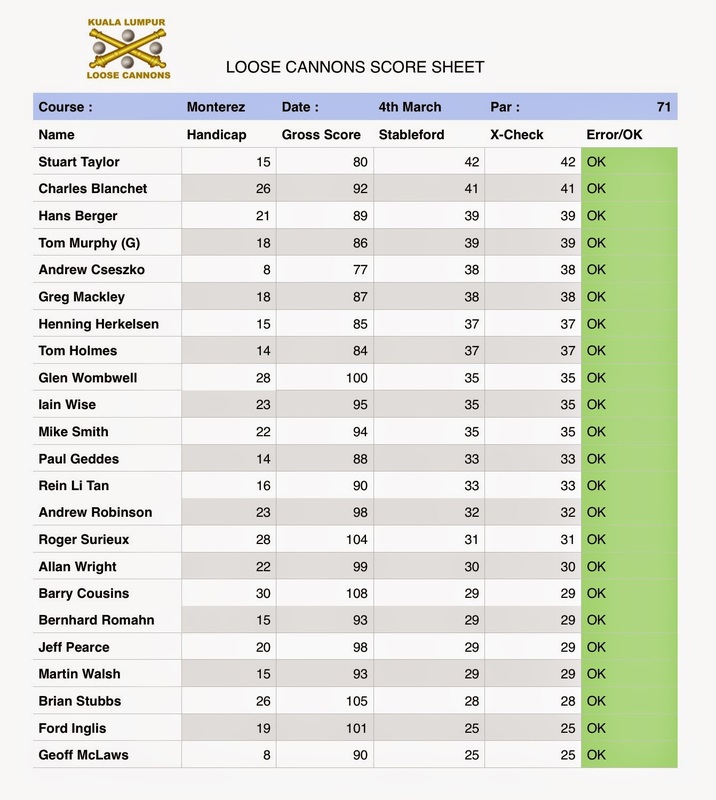 16 Cannons registered for this game and unfortunately yet again we had a no-show with no prior notification which meant one player who was on standby didn’t get the opportunity to play. 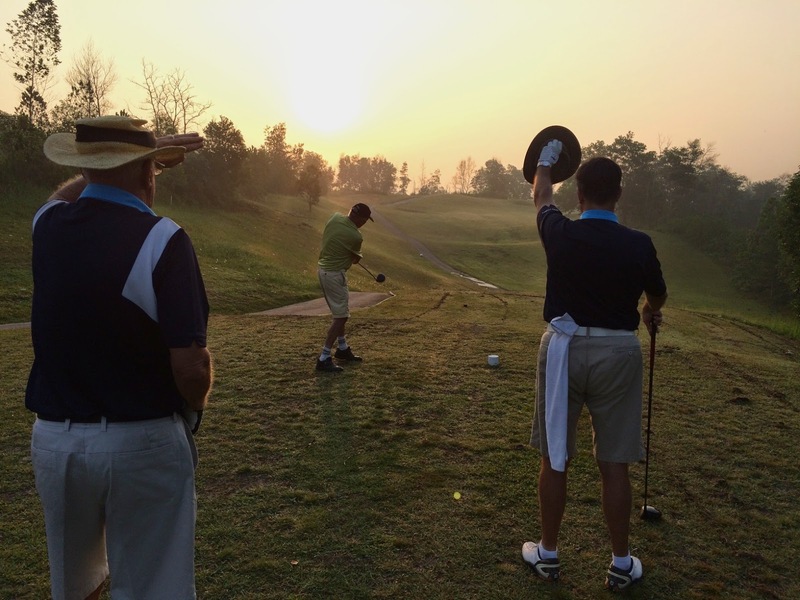 We all understand that sometimes circumstances crop up that you cannot play but PLEASE try to let the Convenor know so he can re-arrange. 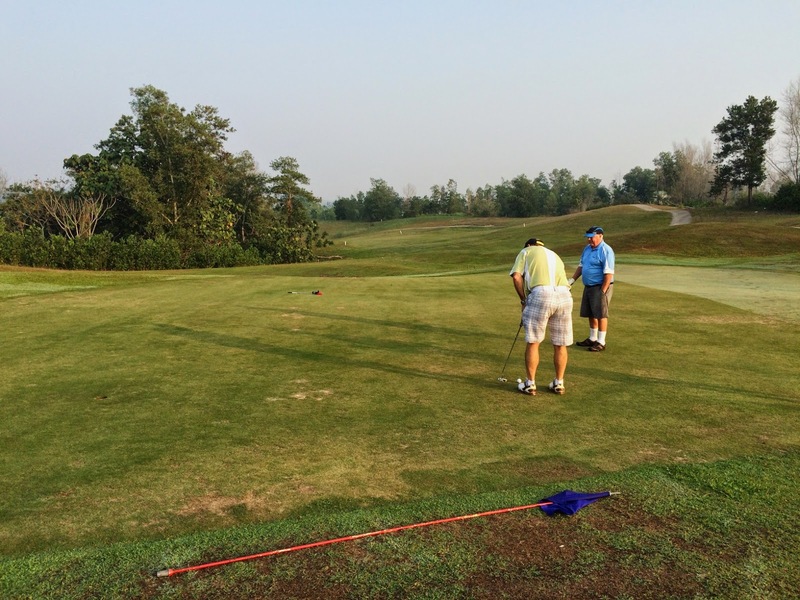 Unfortunately it is the same people that routinely do this and mess up arrangements for all others. 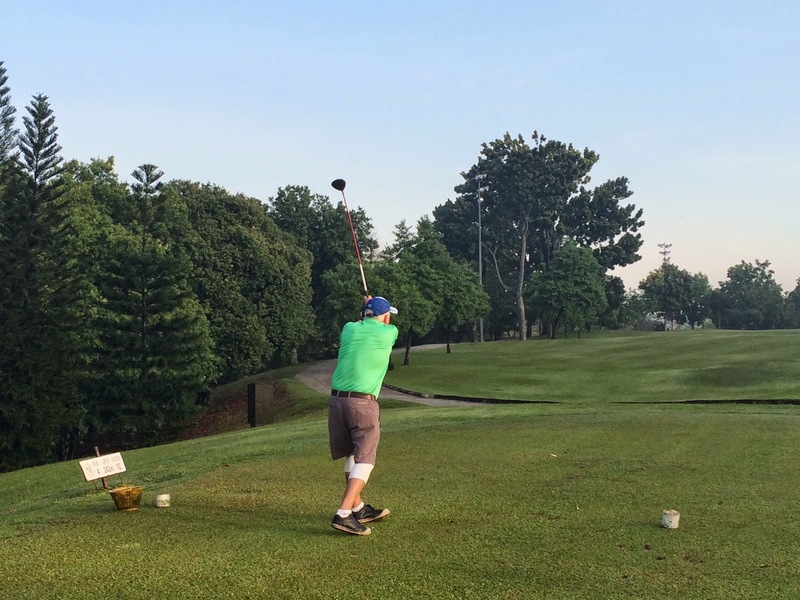 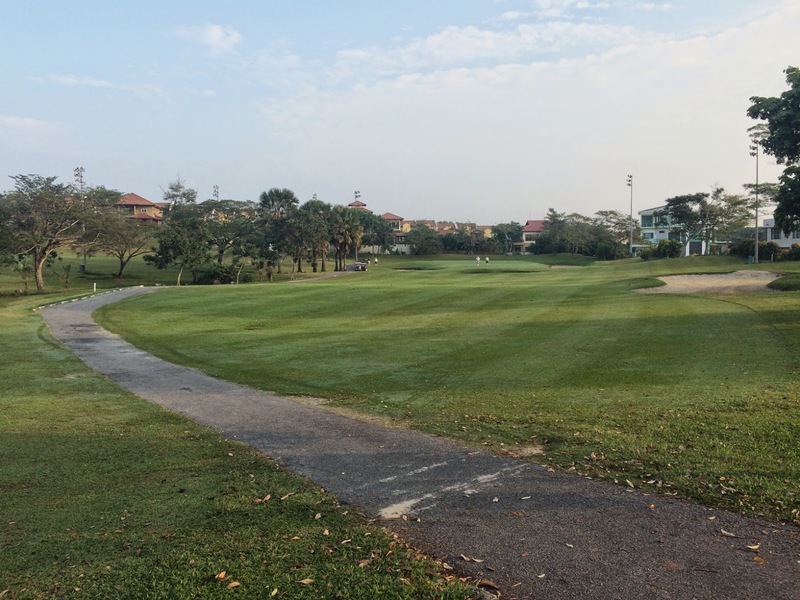 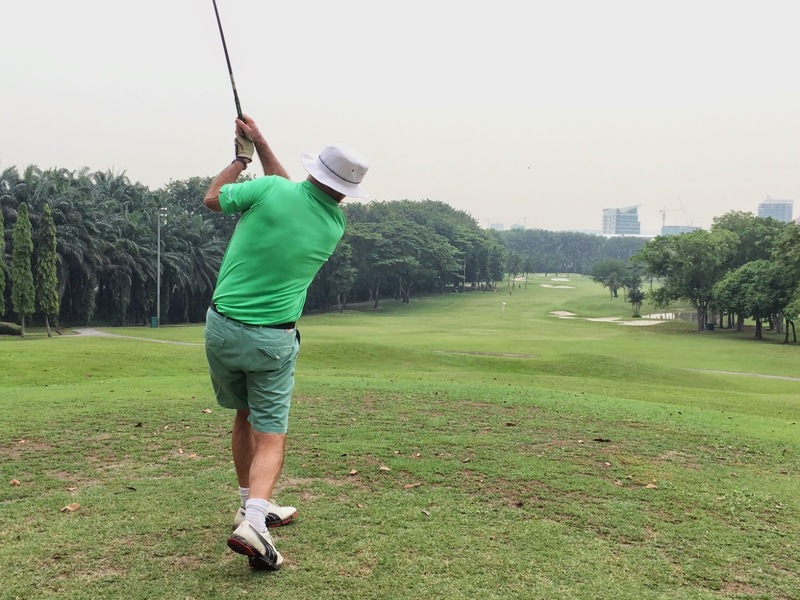 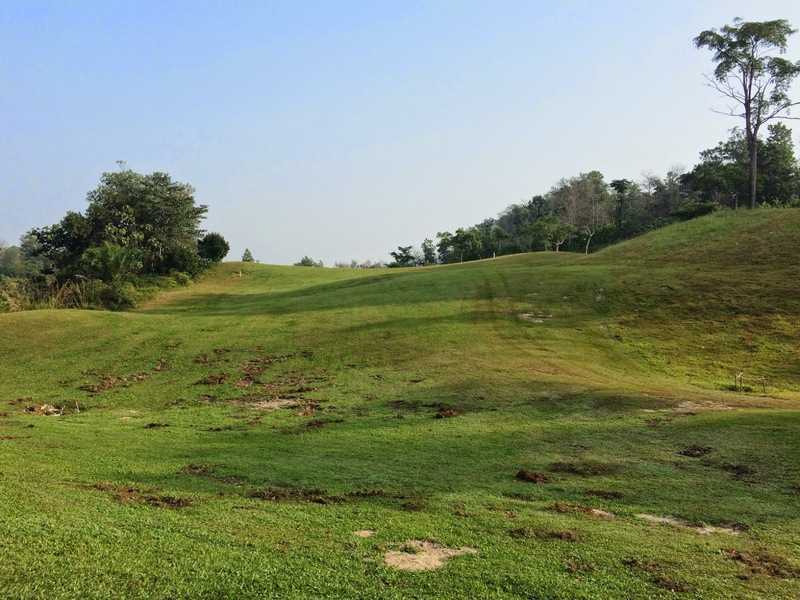 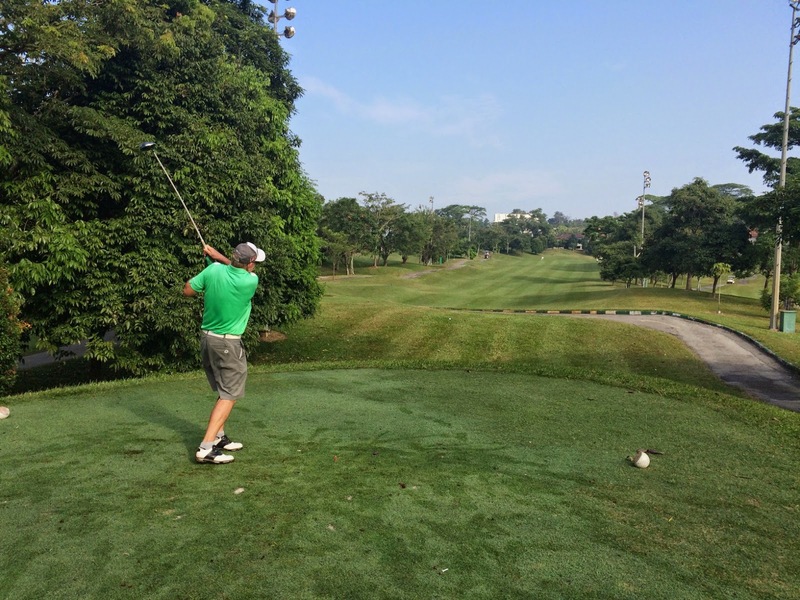 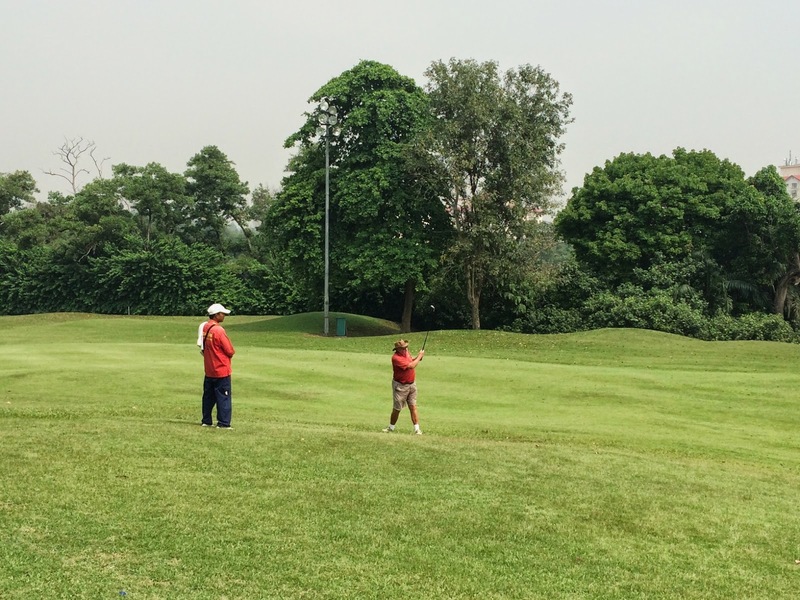 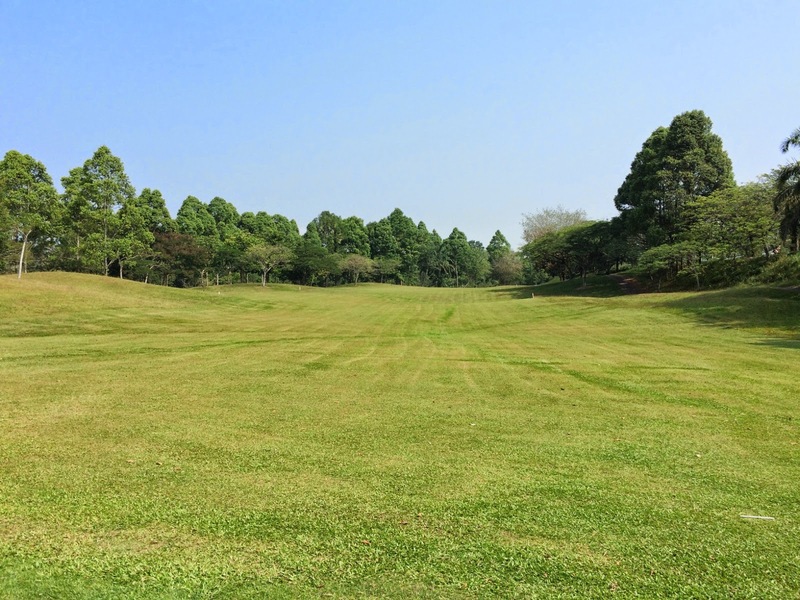 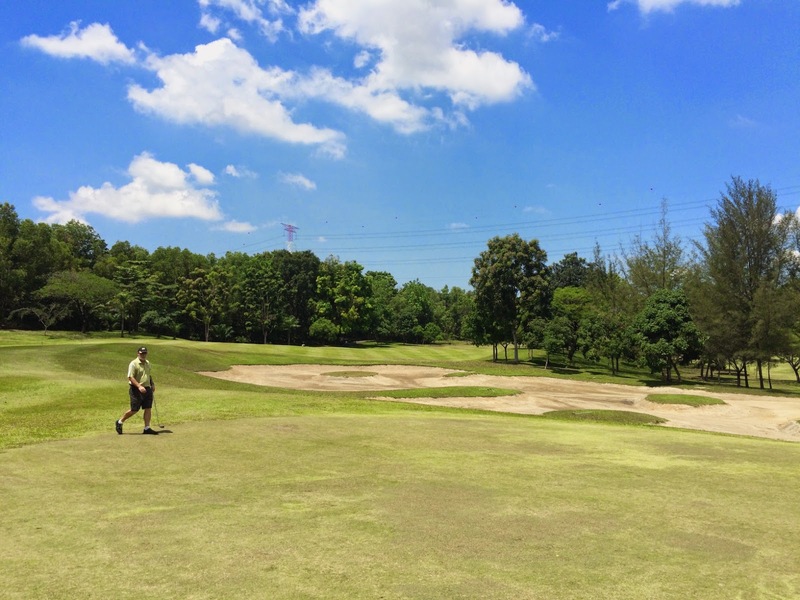 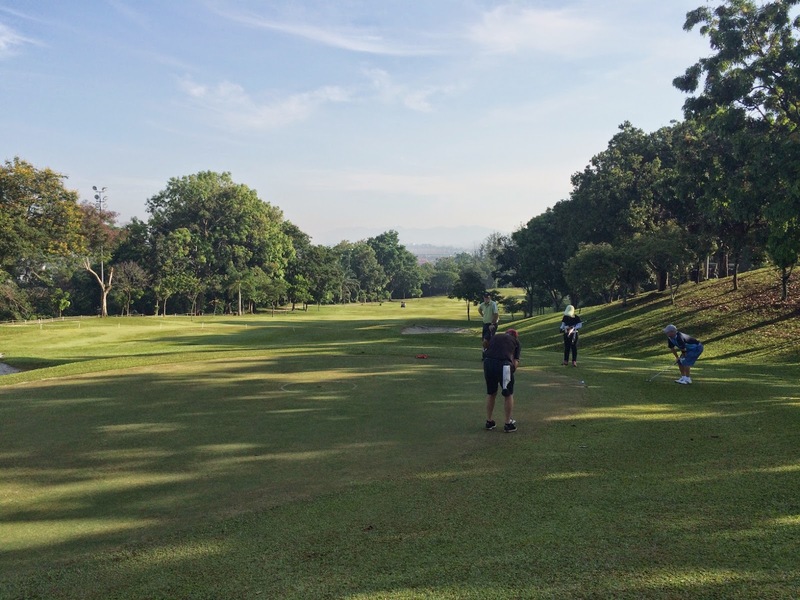 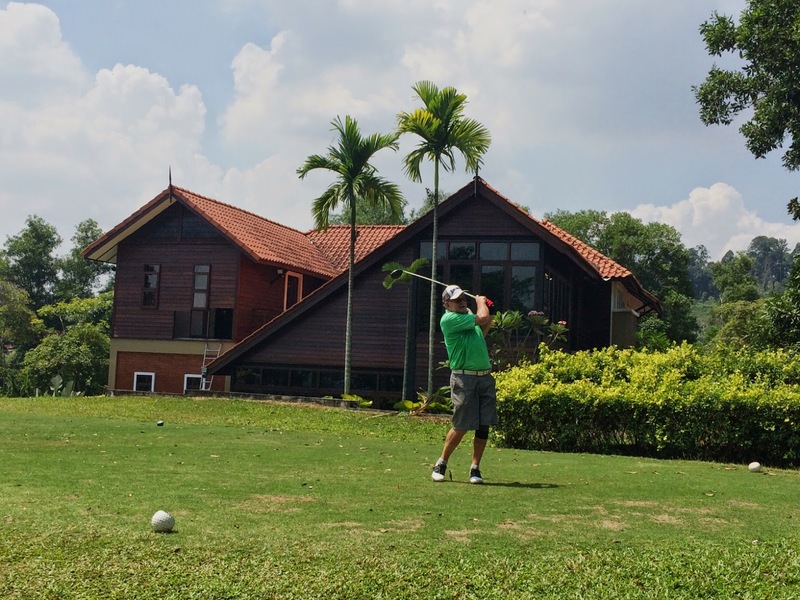 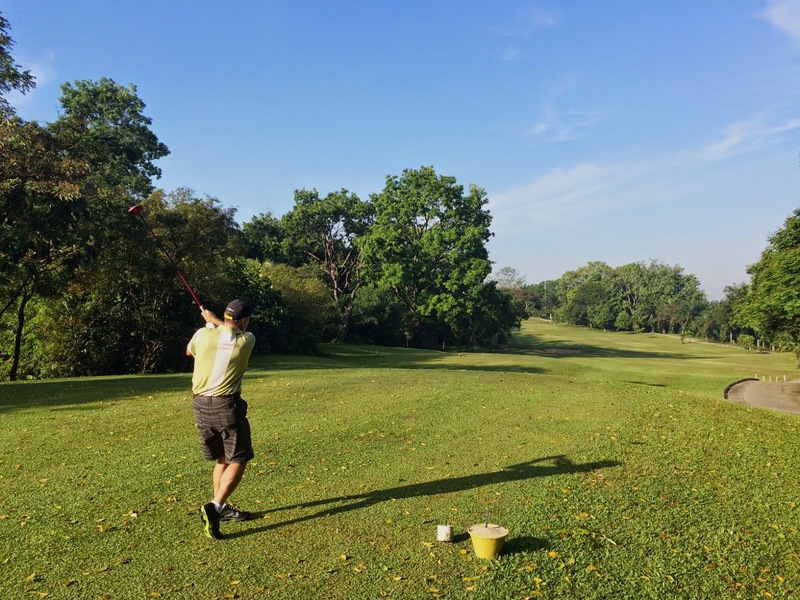 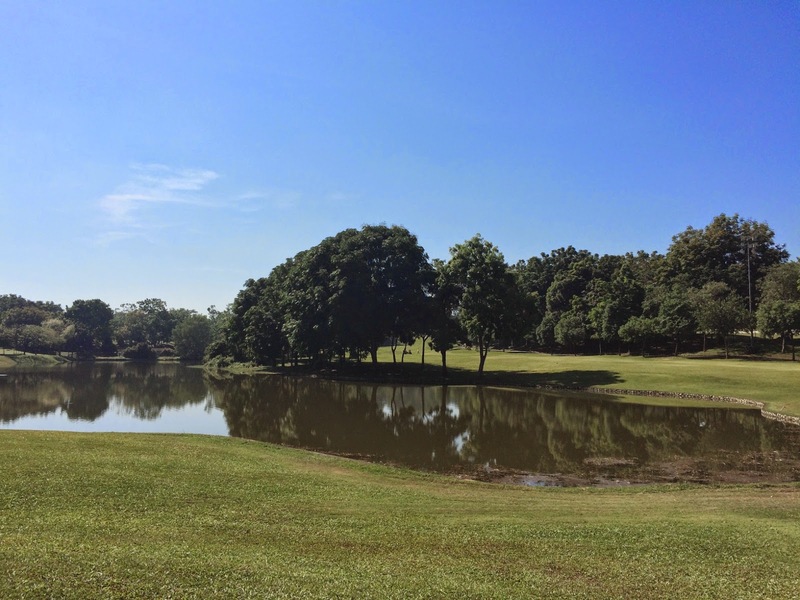 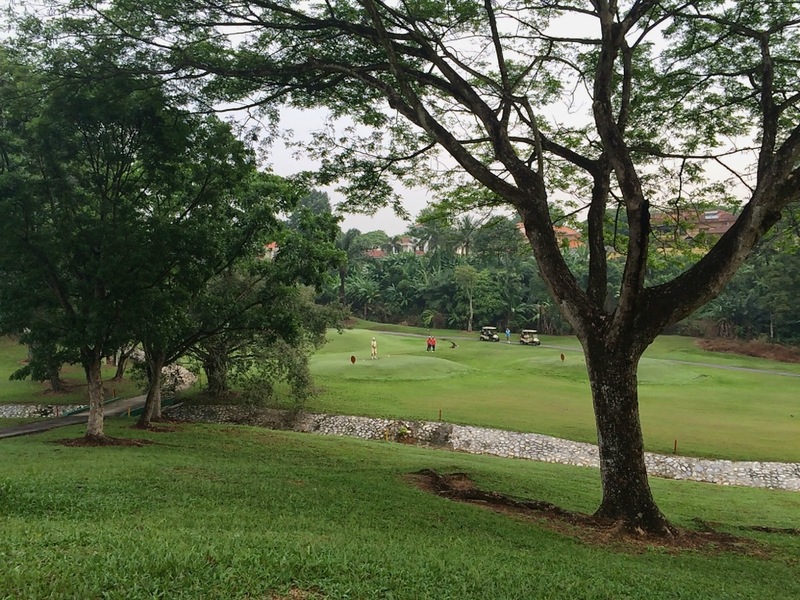 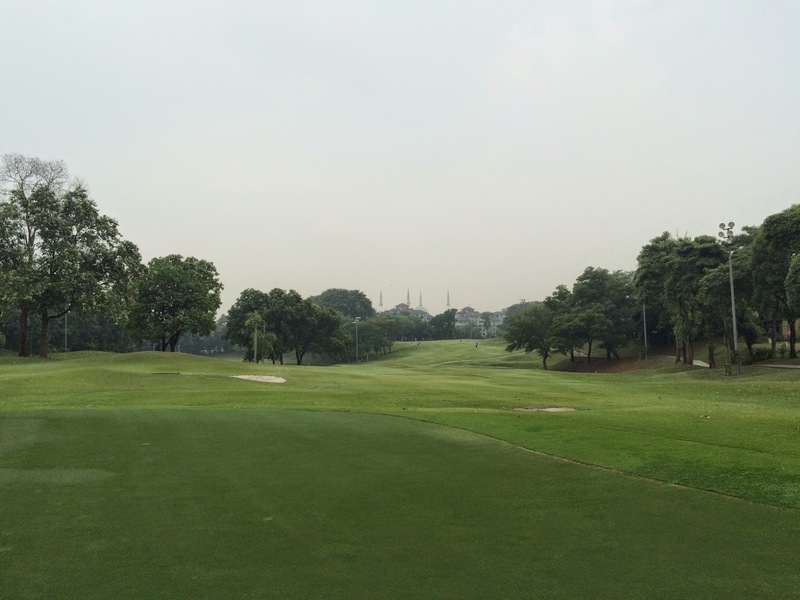 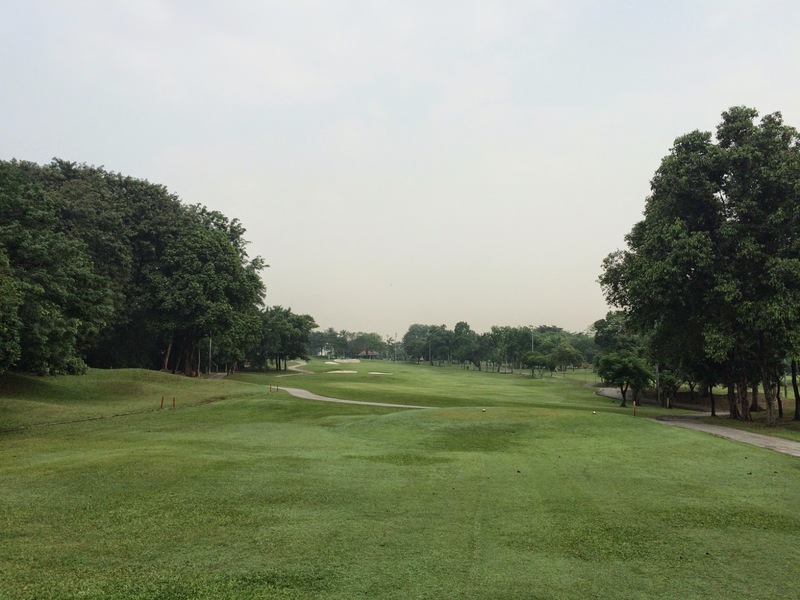 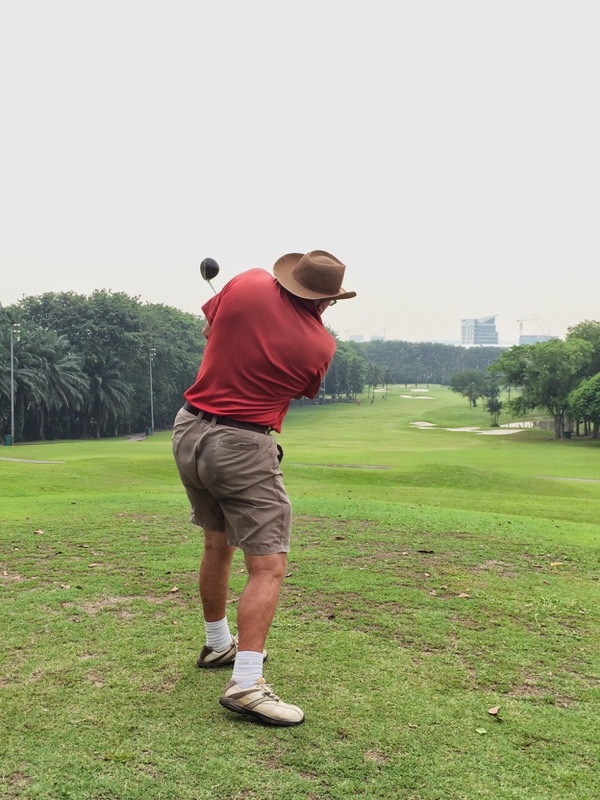 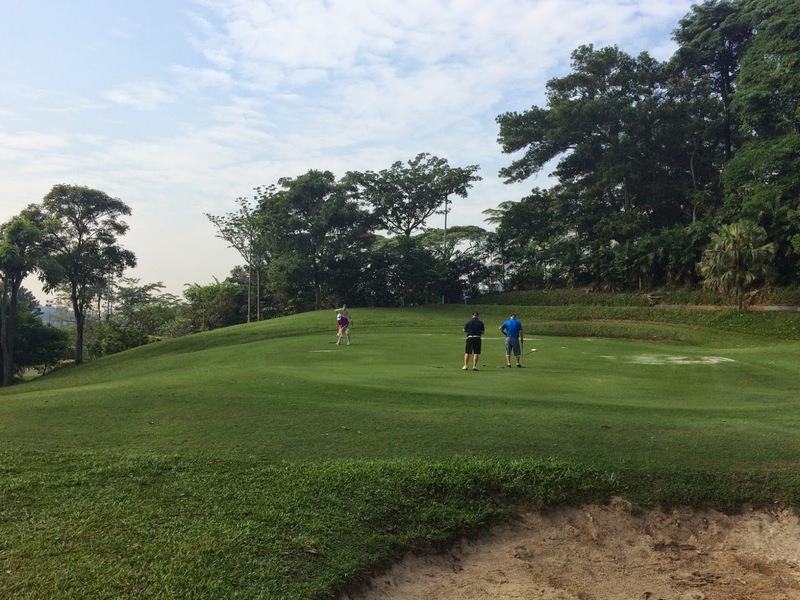 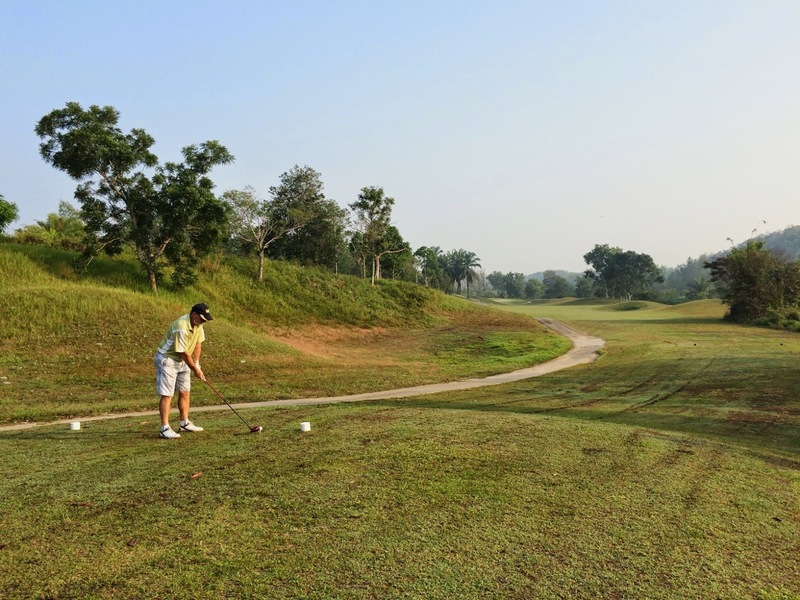 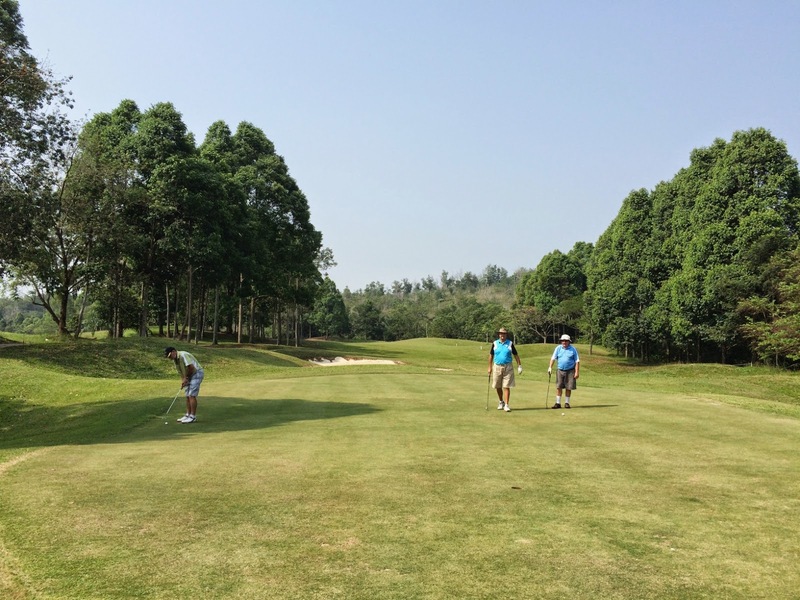 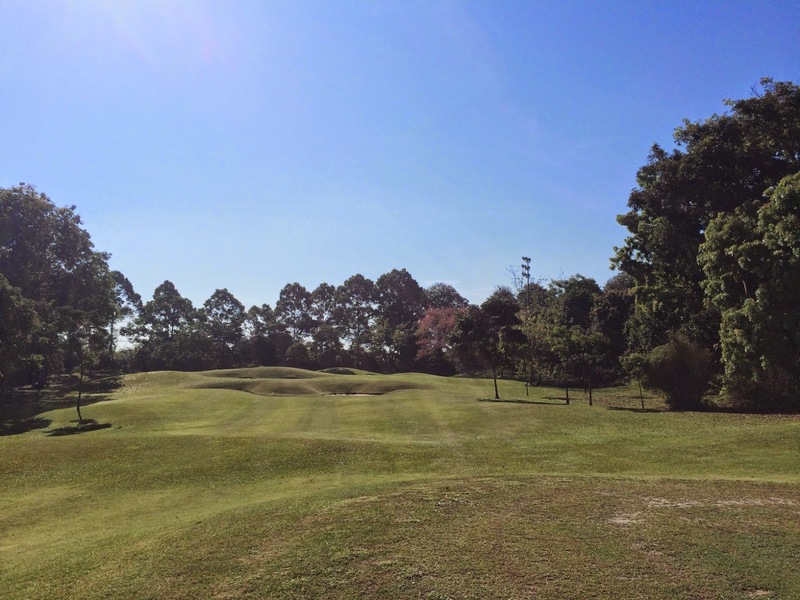 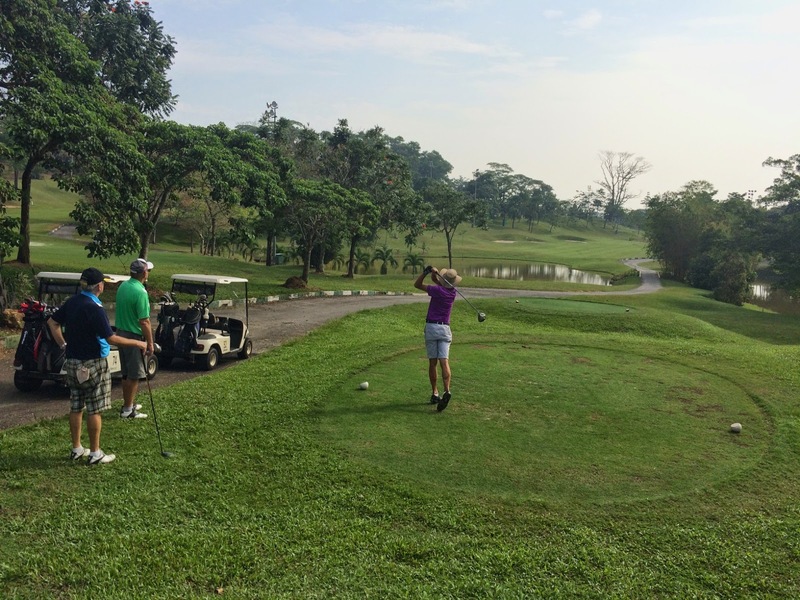 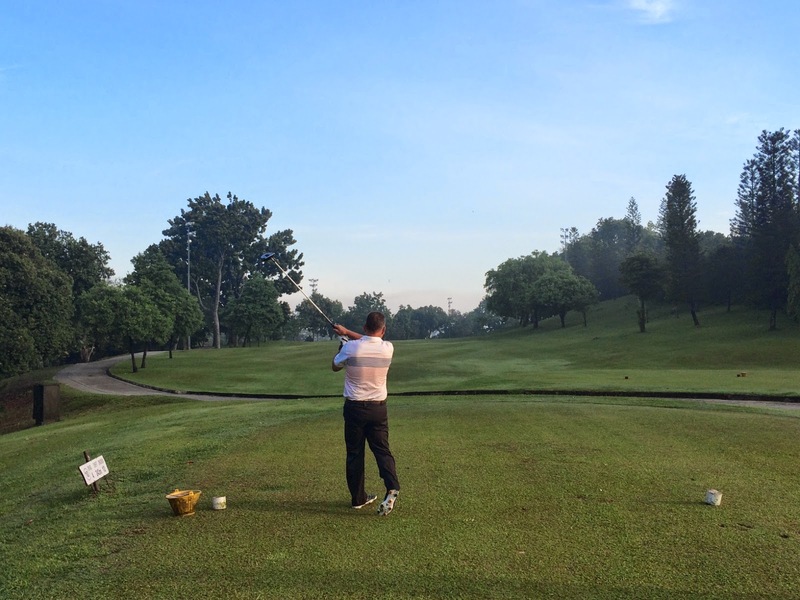 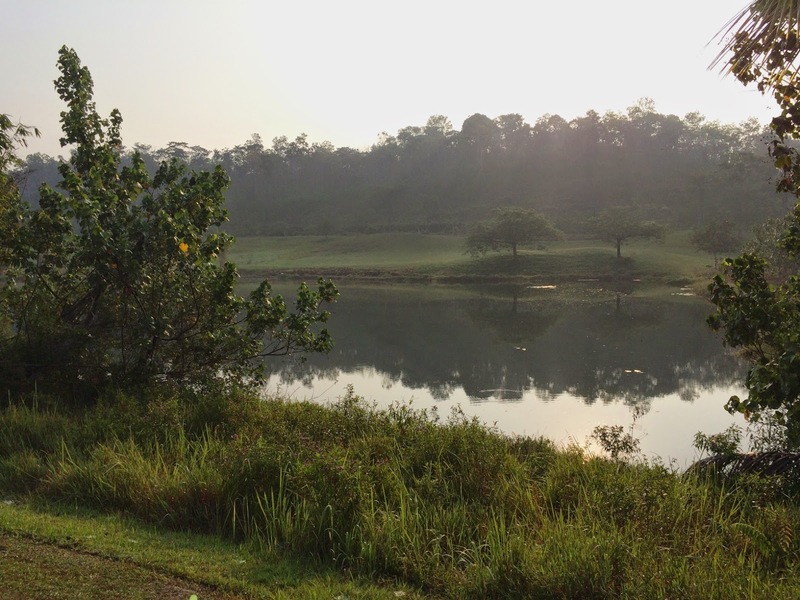 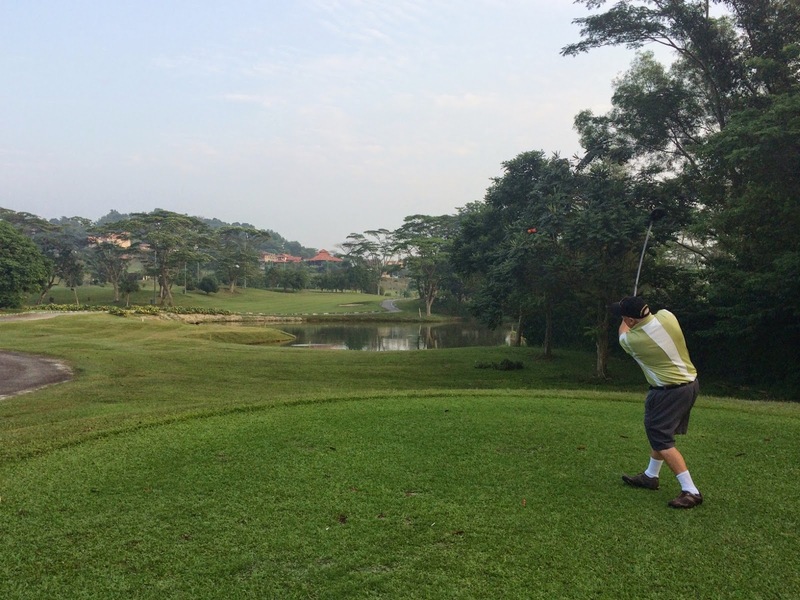 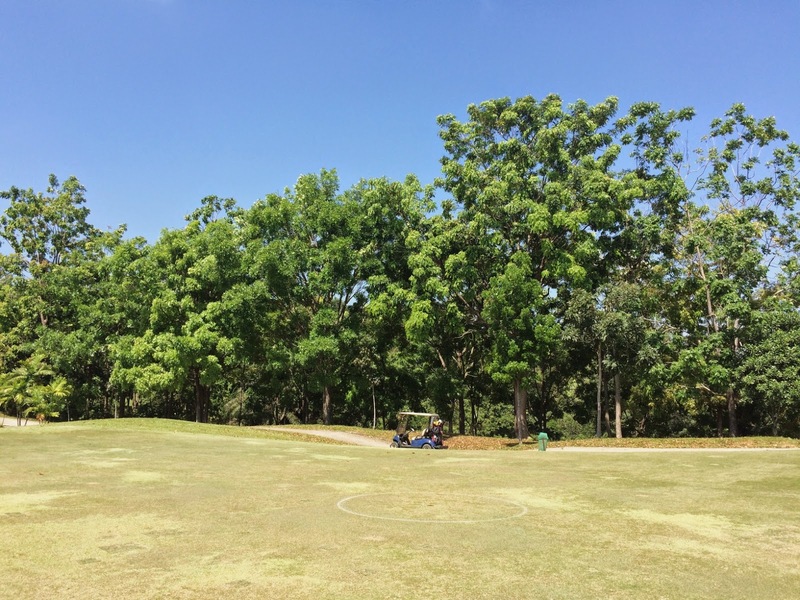 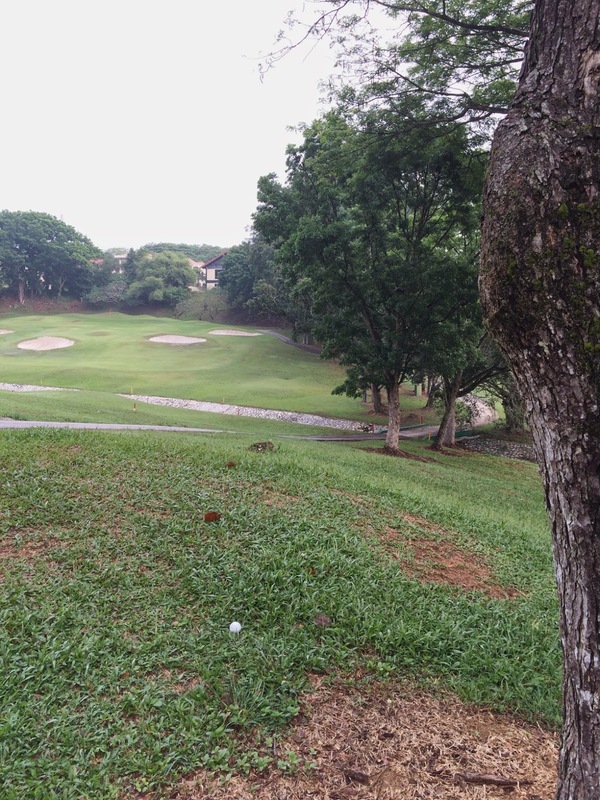 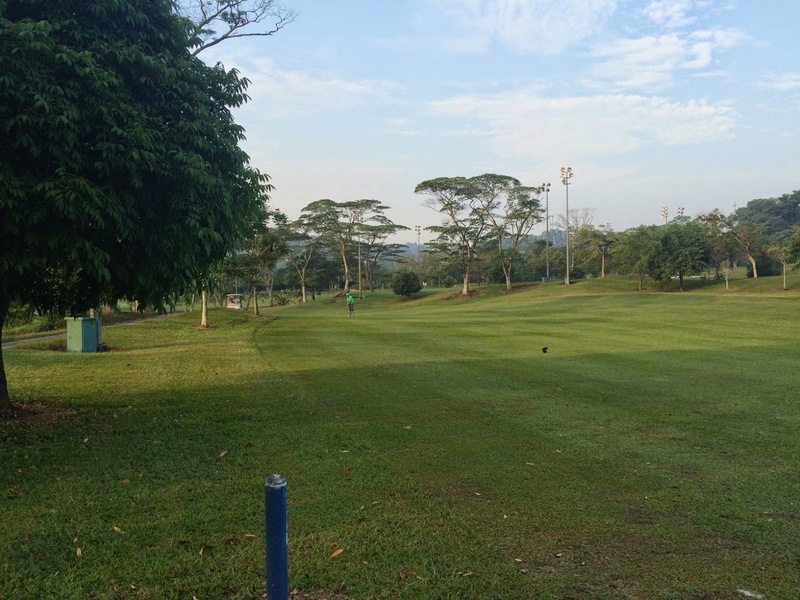 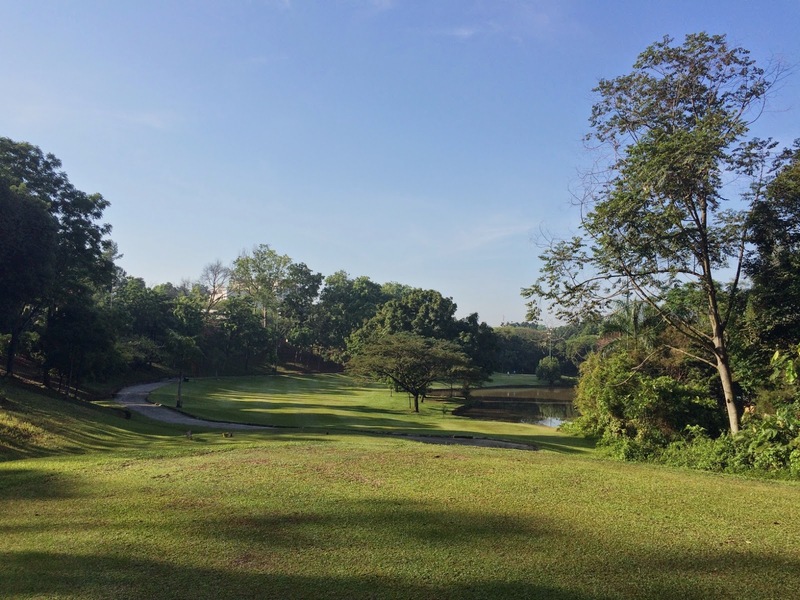 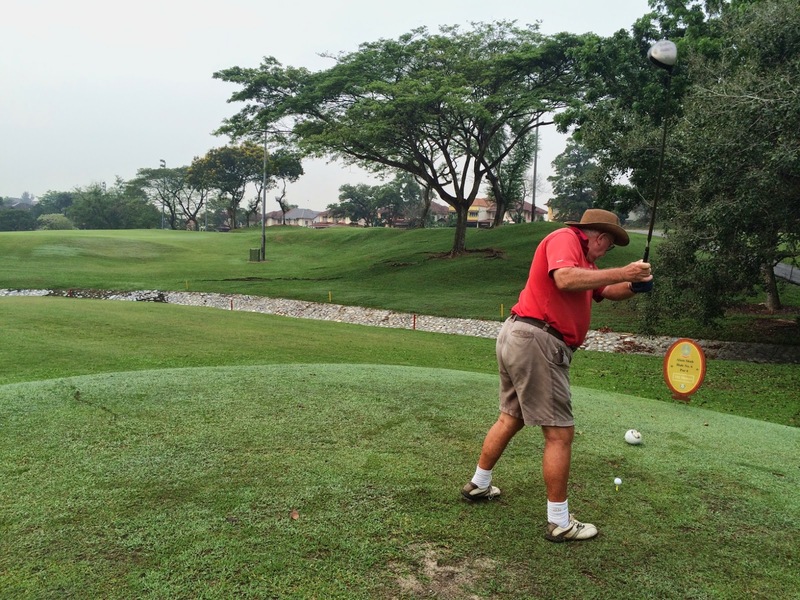 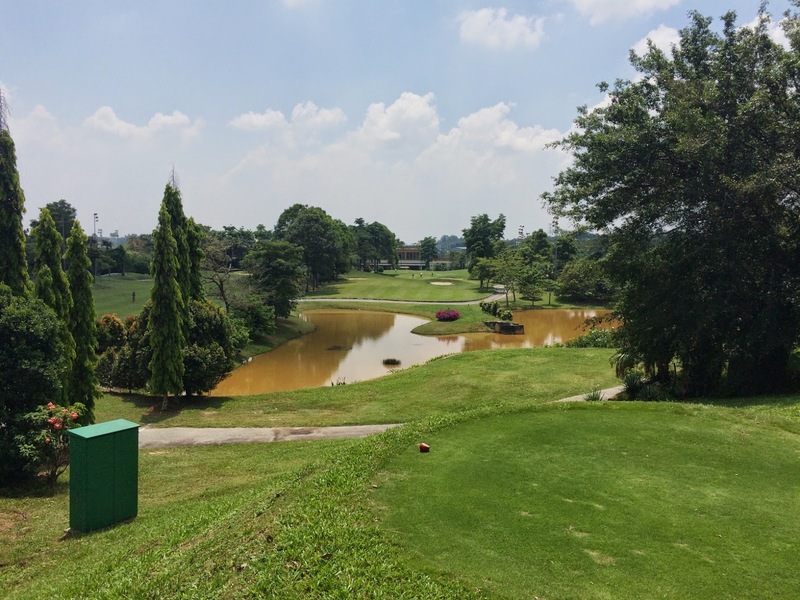 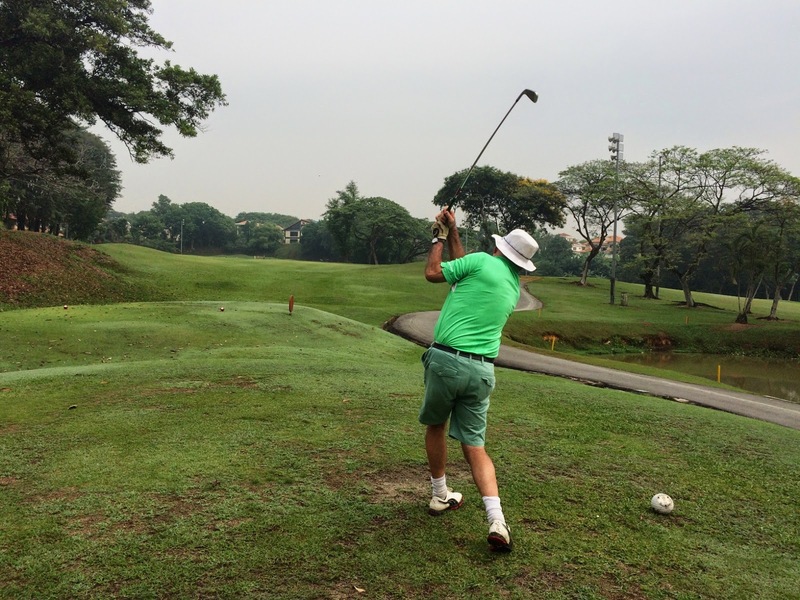 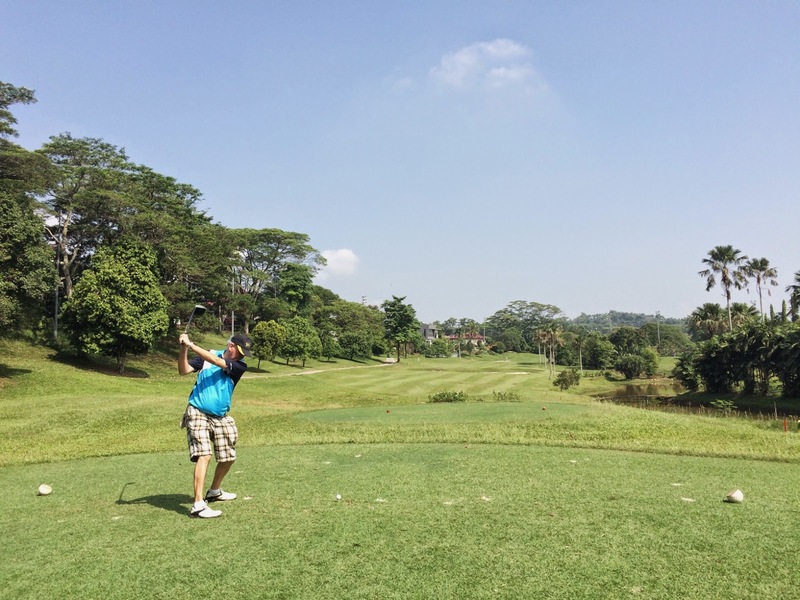 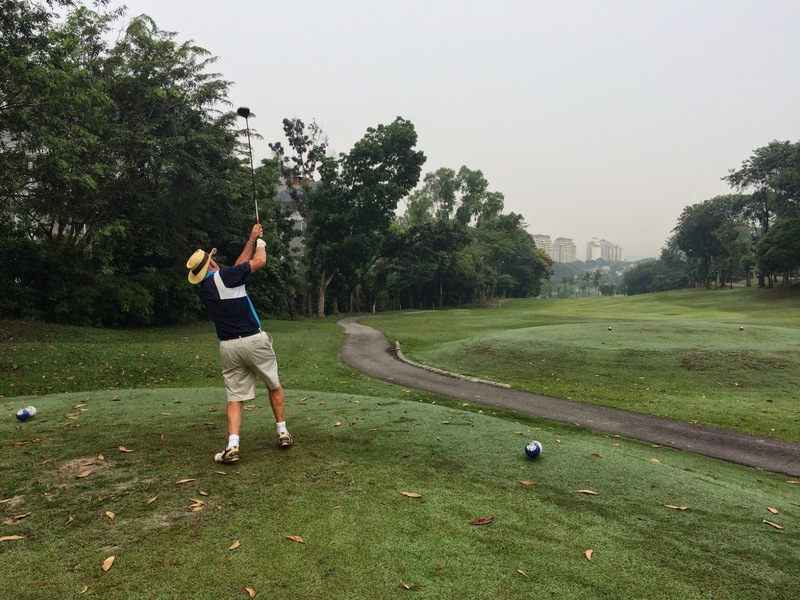 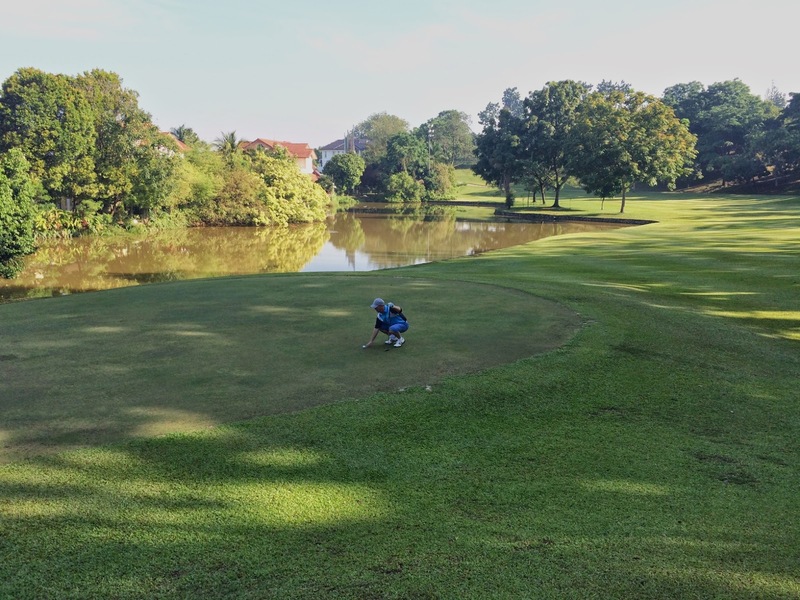 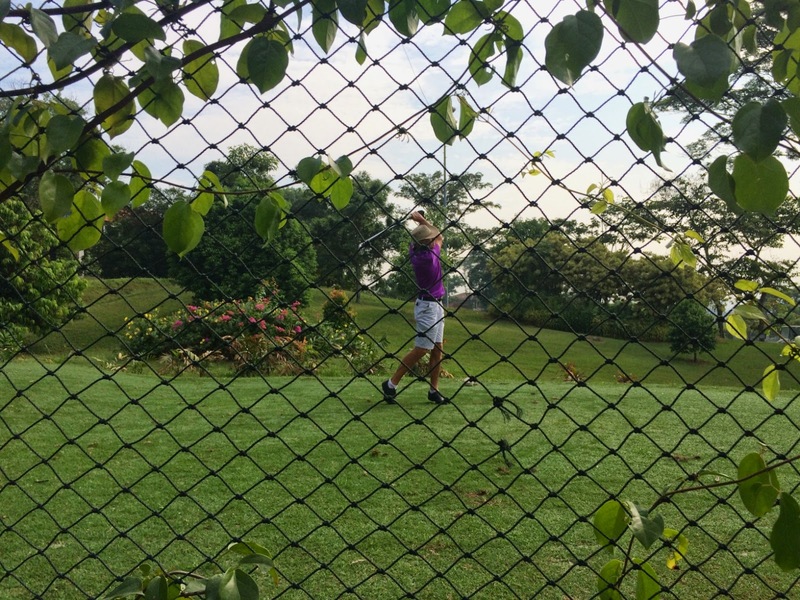 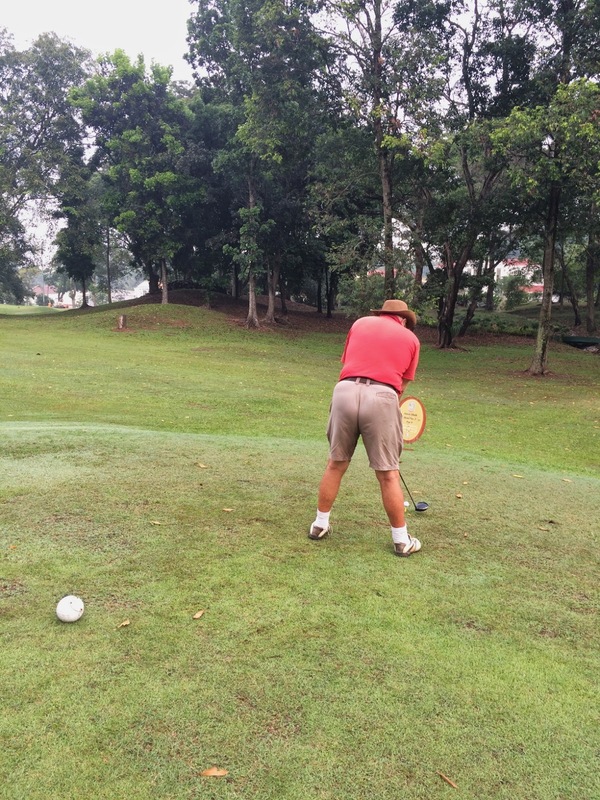 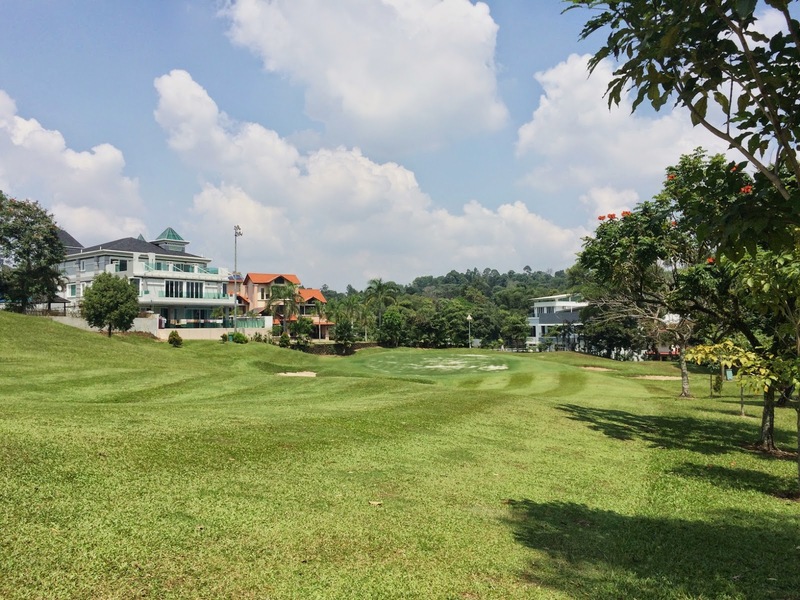 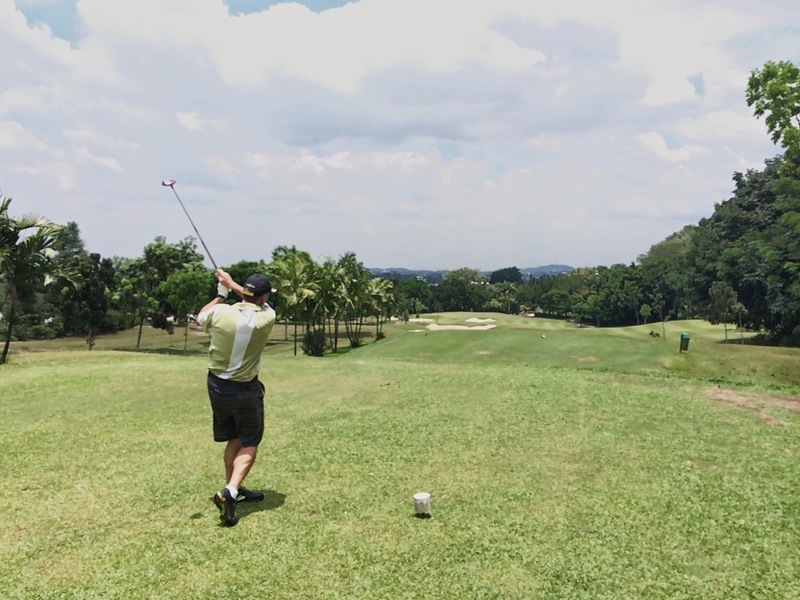 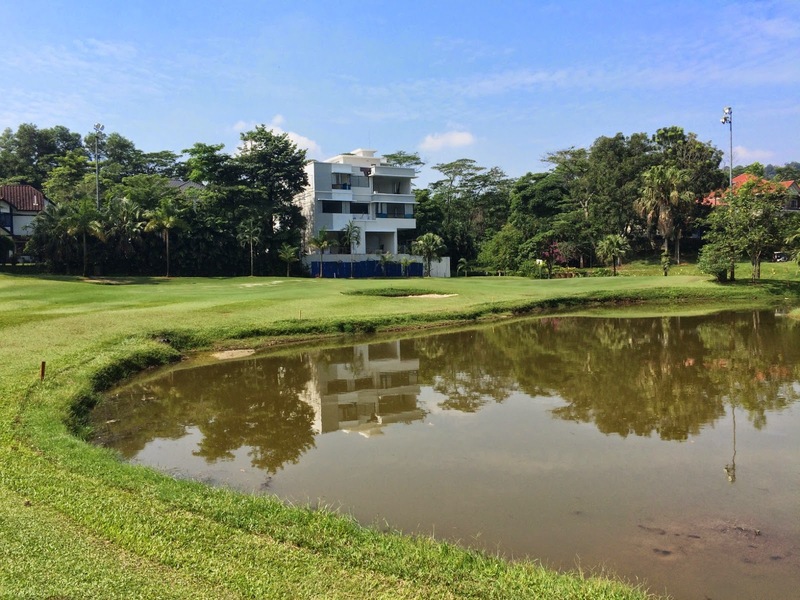 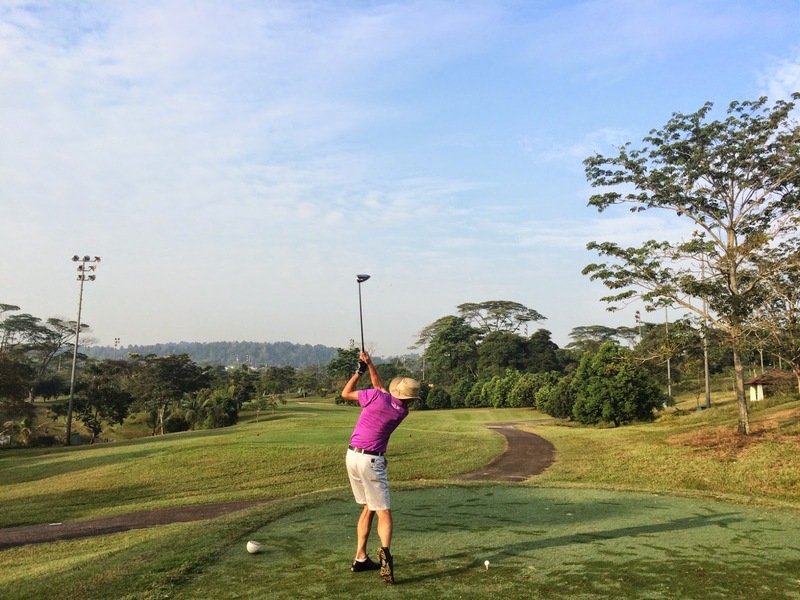 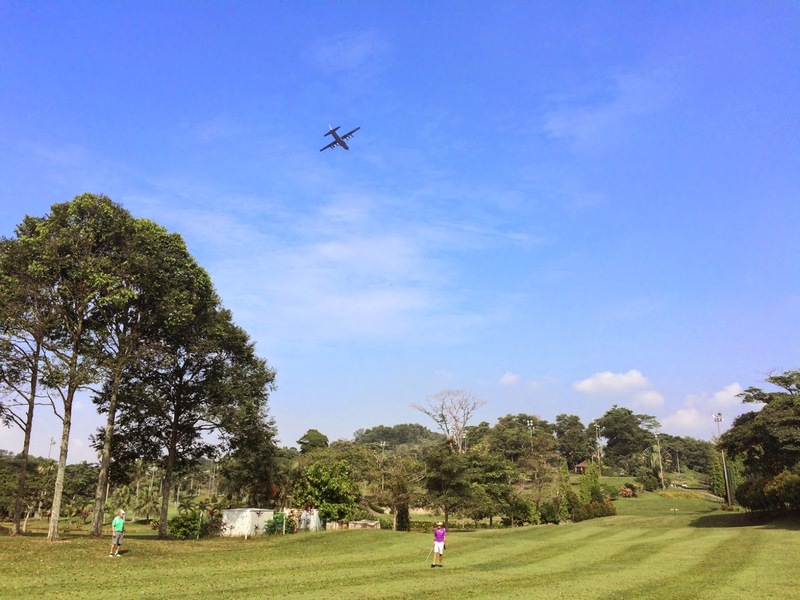 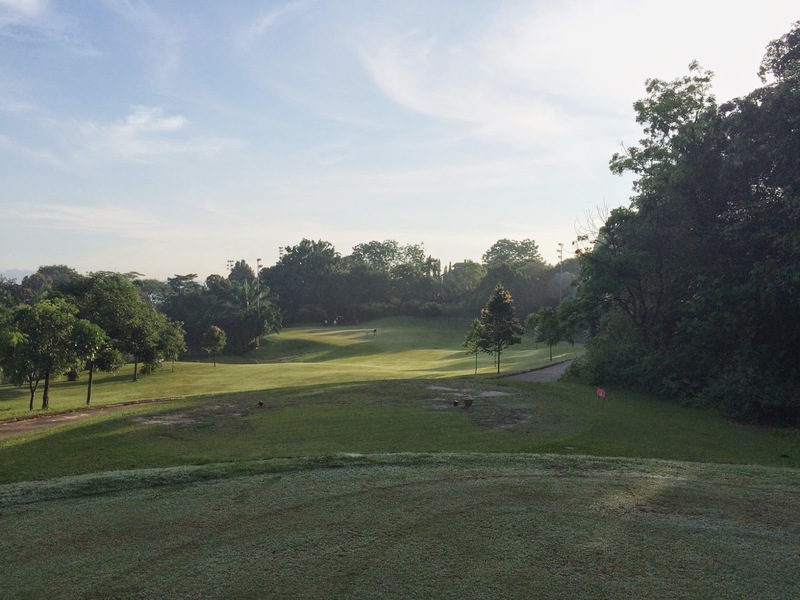 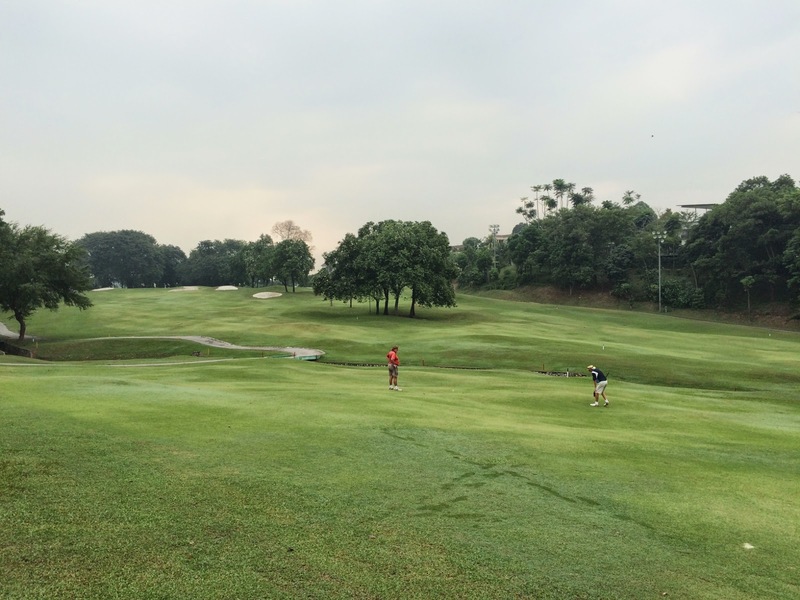 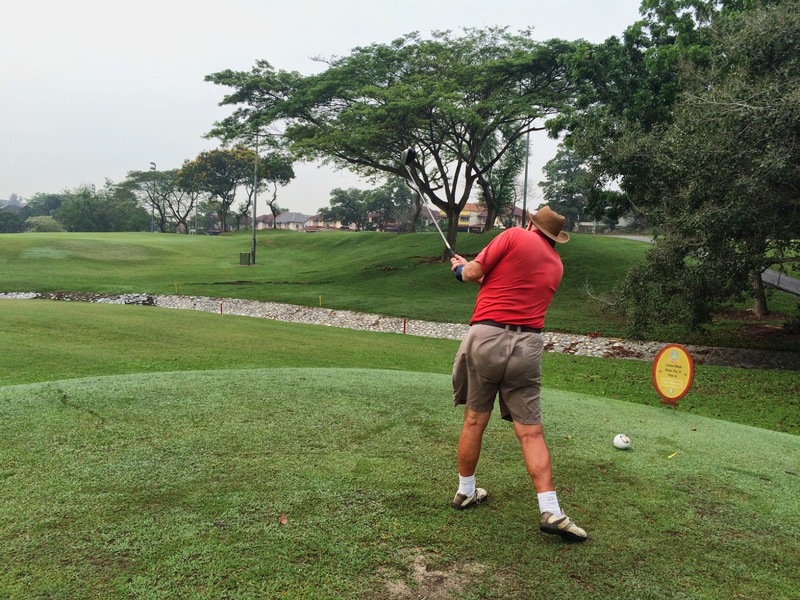 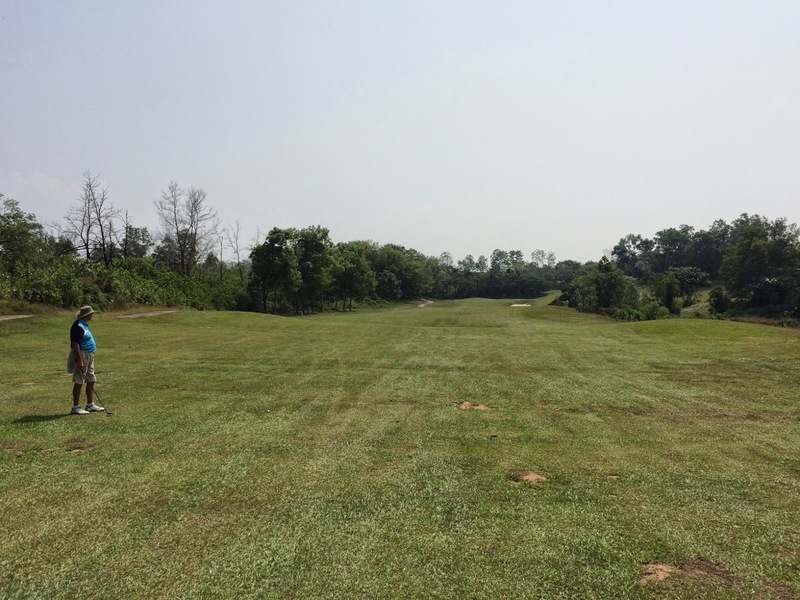 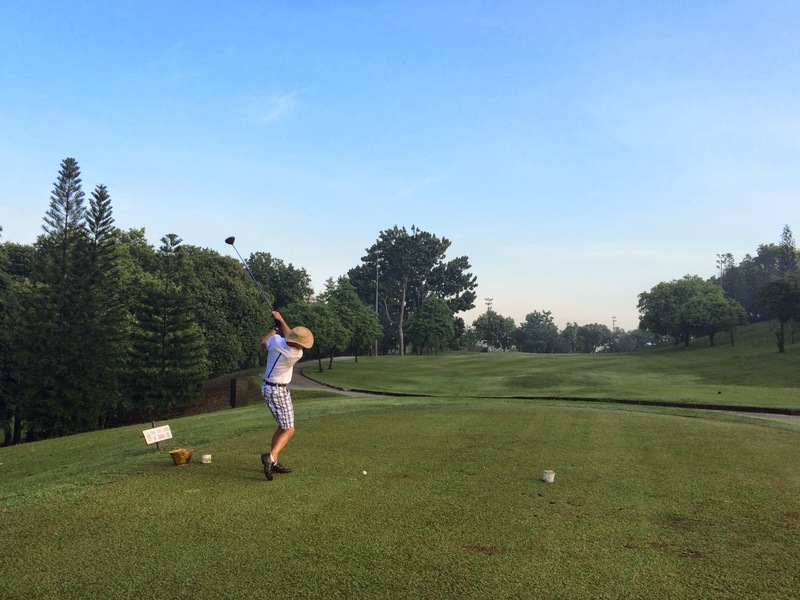 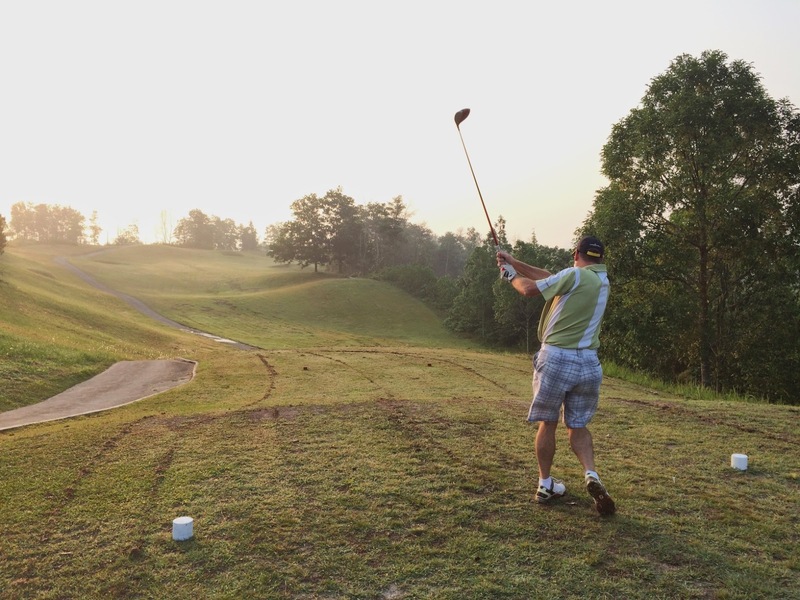 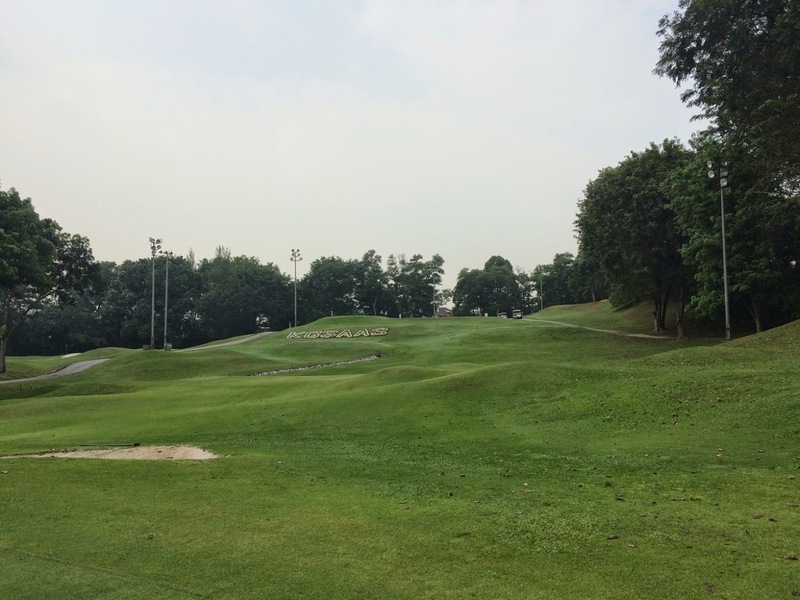 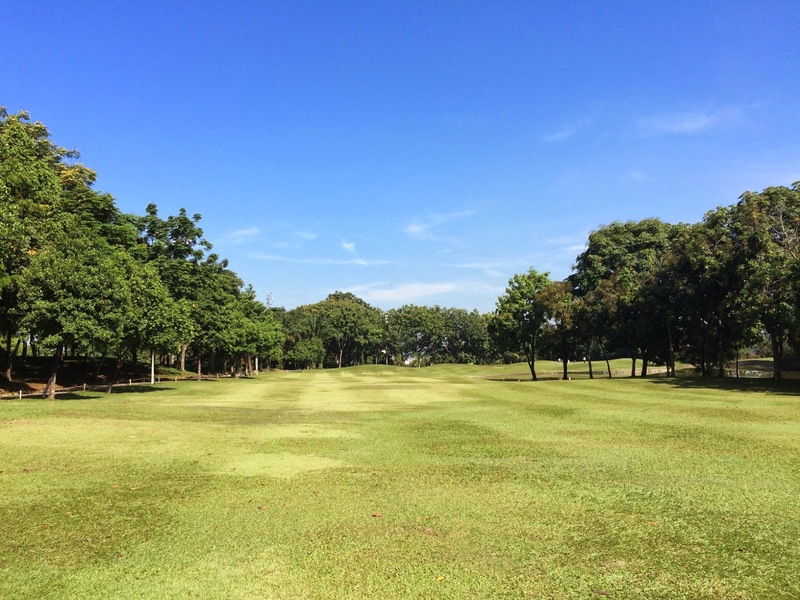 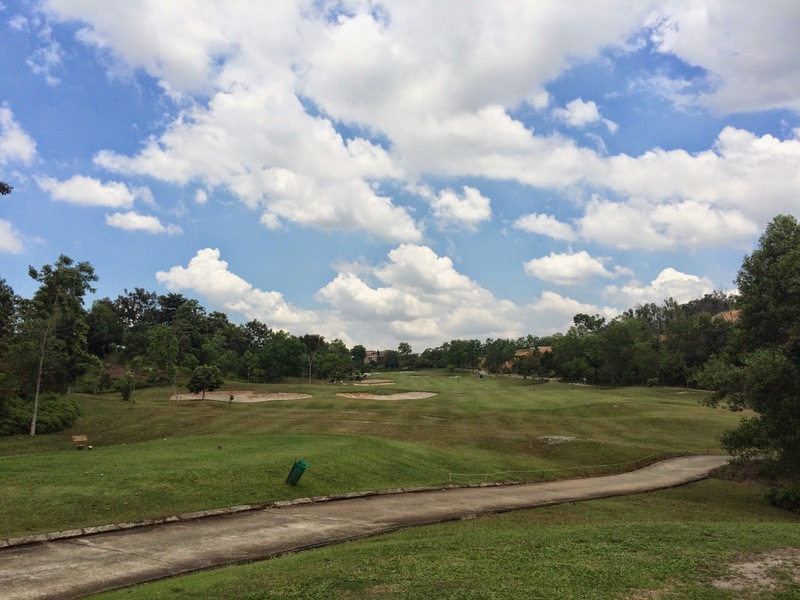 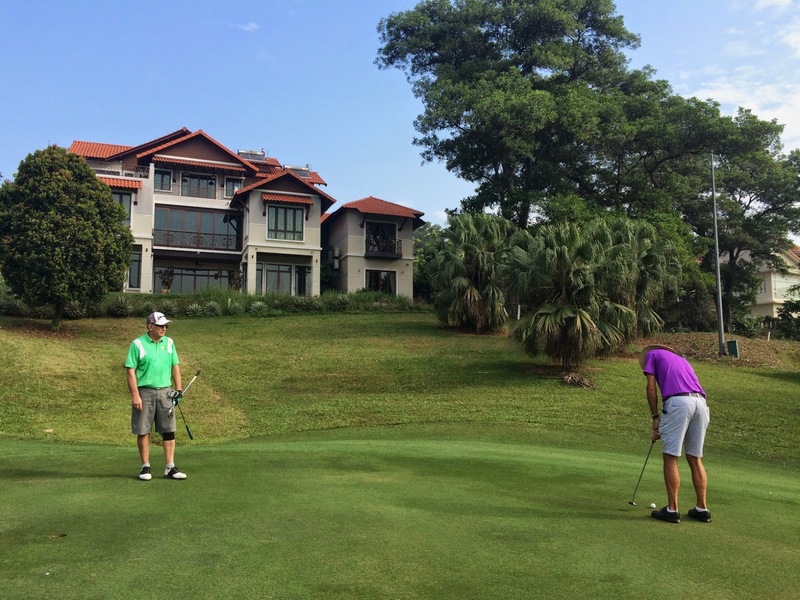 Lembah Beringin Golf Course is a 70 km trek north but is an extremely reasonable price for an almost reasonable golf course. 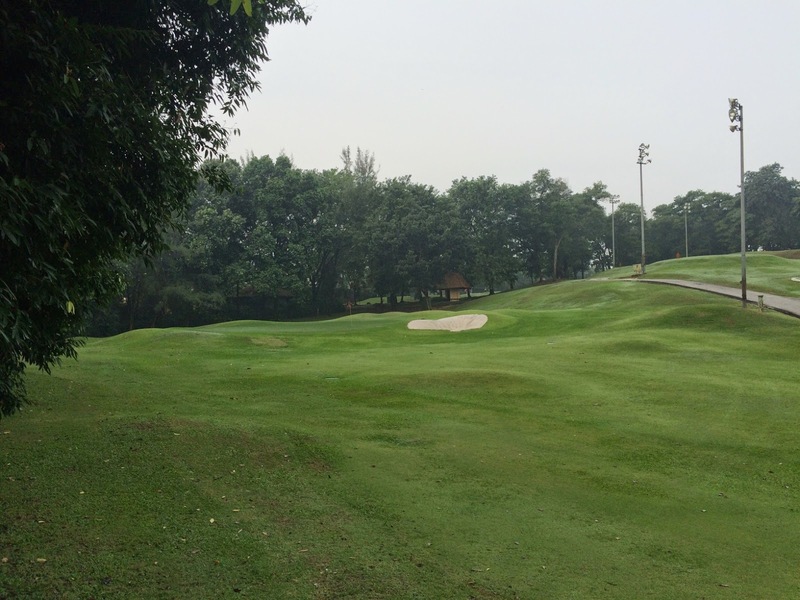 The course is reasonably good although the greens were rather bumpy and very sandy today. 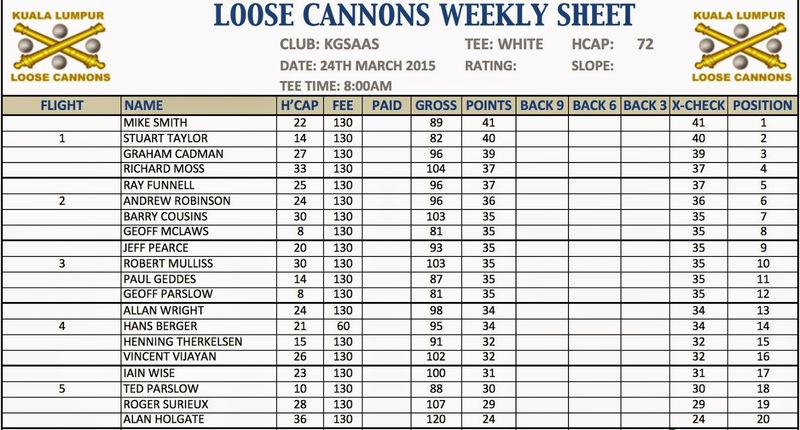 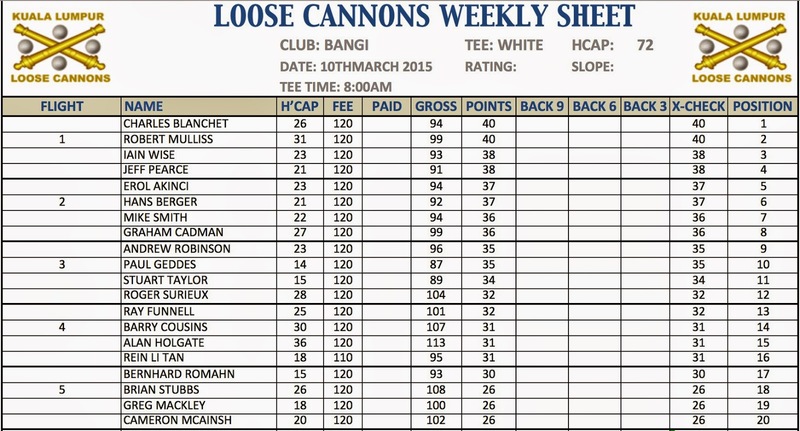 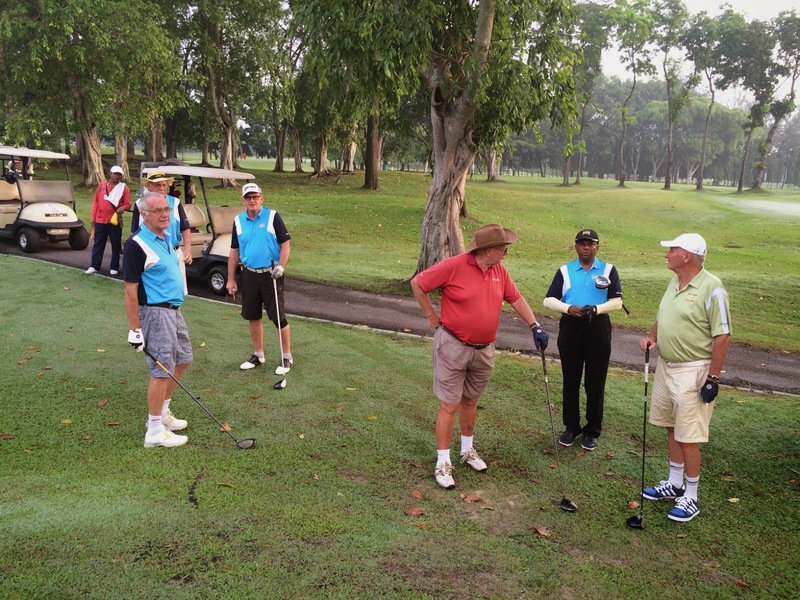 Weather conditions were excellent as 15 Loose Cannons headed off around 8.00am from 2 tee boxes. 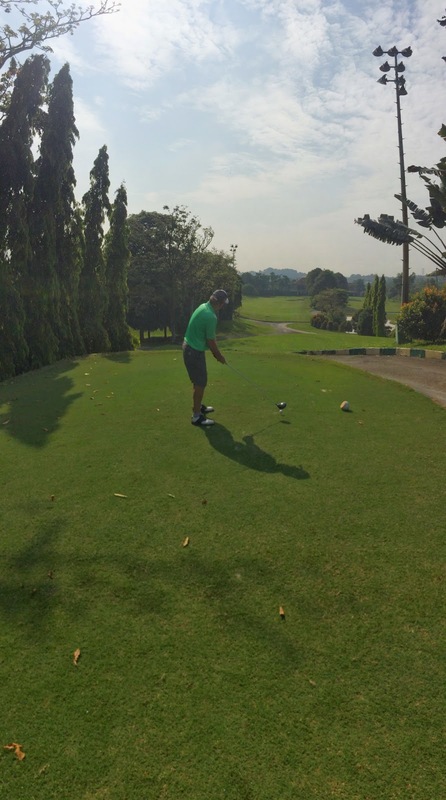 We were finished in around 4 hours which was good. 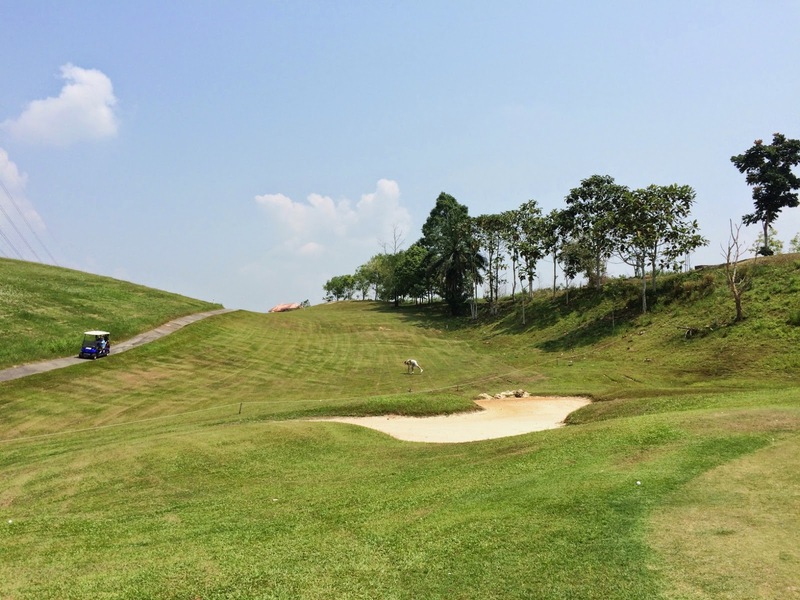 The plan was to head to Bukit Beruntung and the Triple Round Restaurant for lunch. 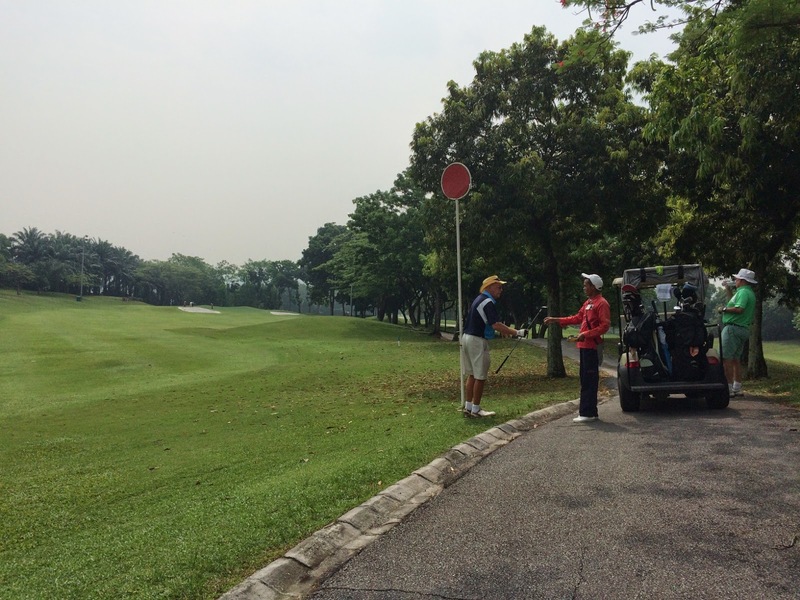 I tried calling the restaurant yesterday and on the morning during the round of golf but got no reply. 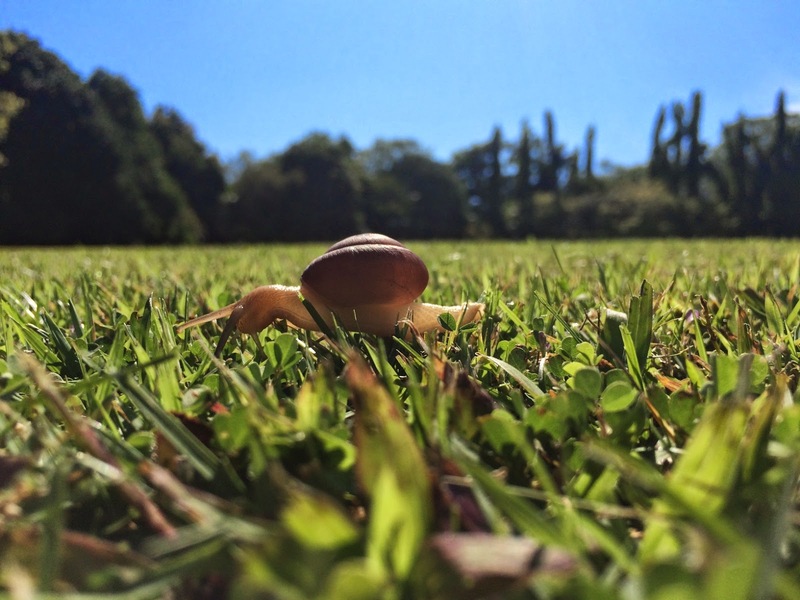 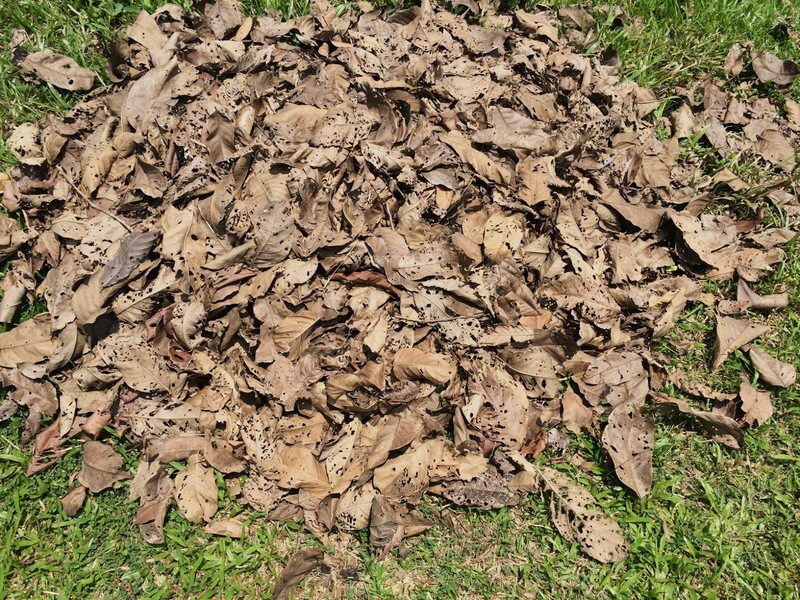 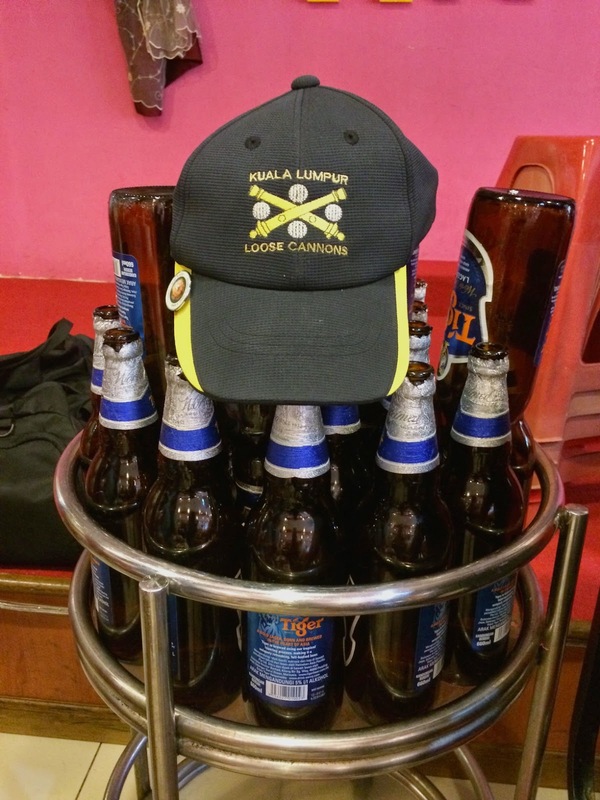 When we arrived at the restaurant we found out why …. 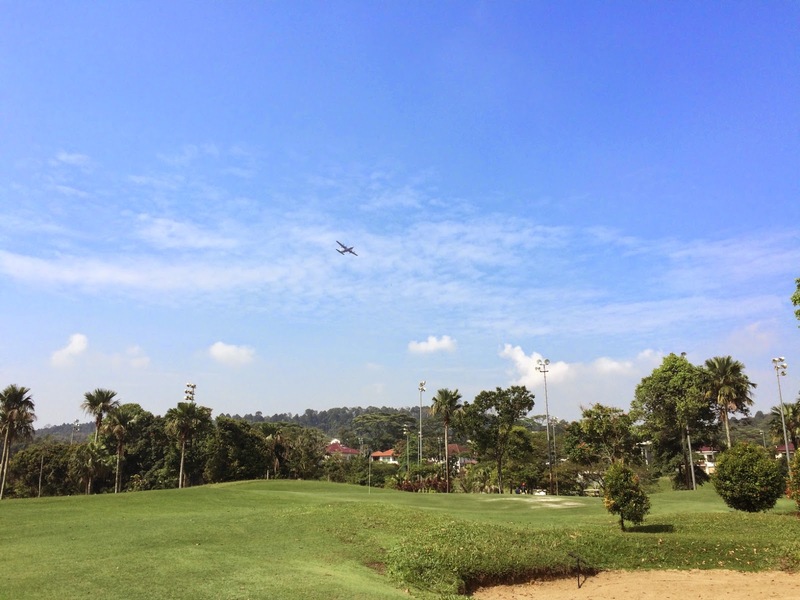 the restaurant was half-demolished and in a serious state of renovation. 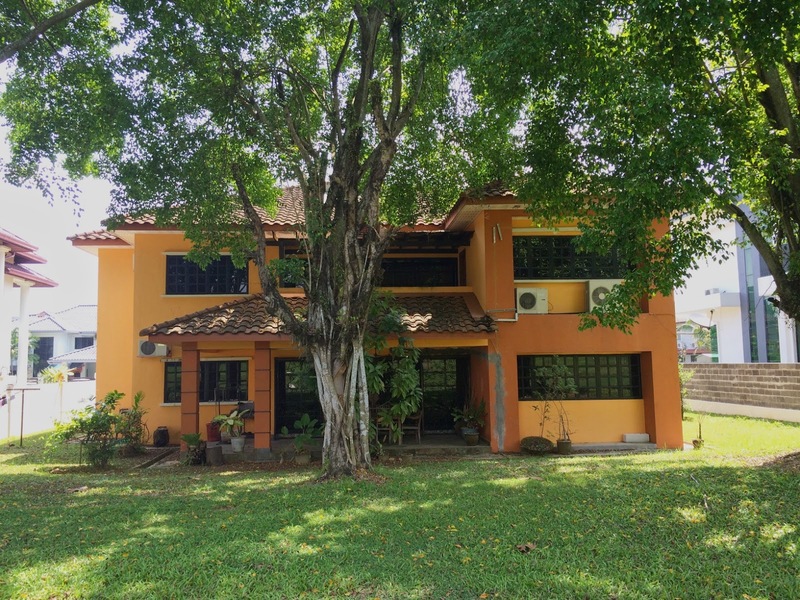 After checking out the nearby Chinese restaurant which was very basic and full we decided to head to Rawang to our usual post Tasik Putri restaurant. 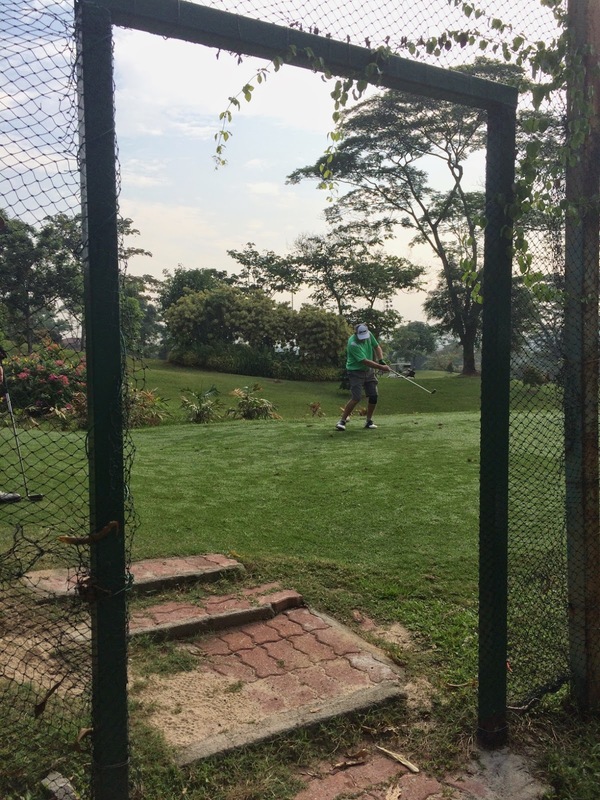 Lo and behold on arrival there we found it closed!! 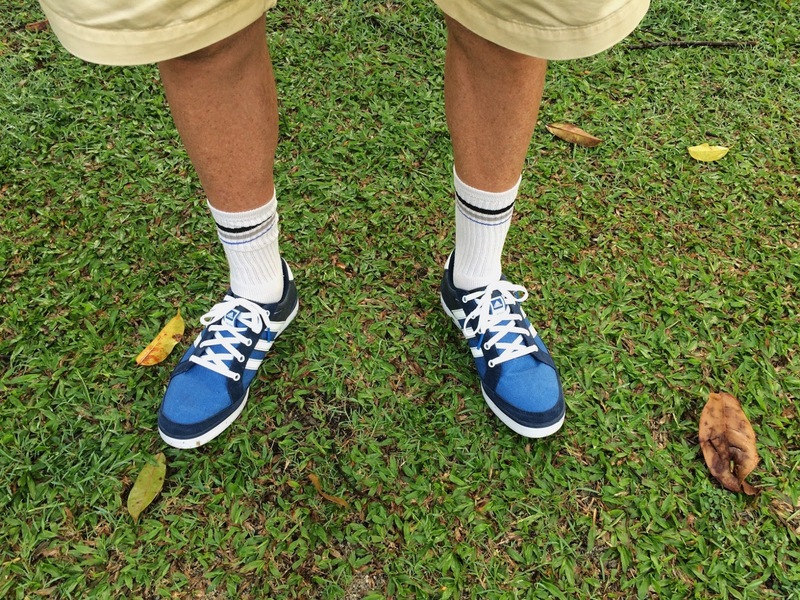 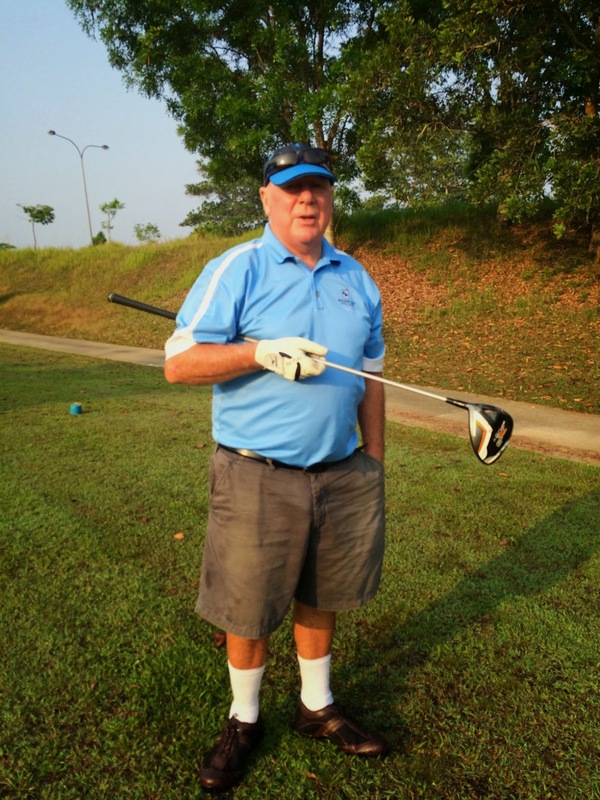 Final plan was to head to the Selangor Club Sports Annexe where we though we may also catch up with Andrew Robinson who failed to find the Restaurant Triple Round and was uncontactable by phone. 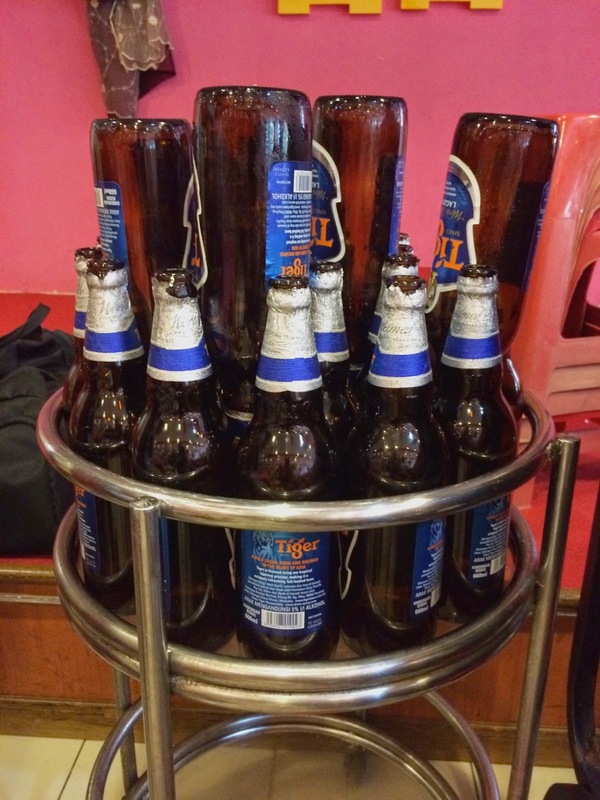 So 7 of us finally lunched at the Annexe and yes we did indeed find Robinson there at the bar!! 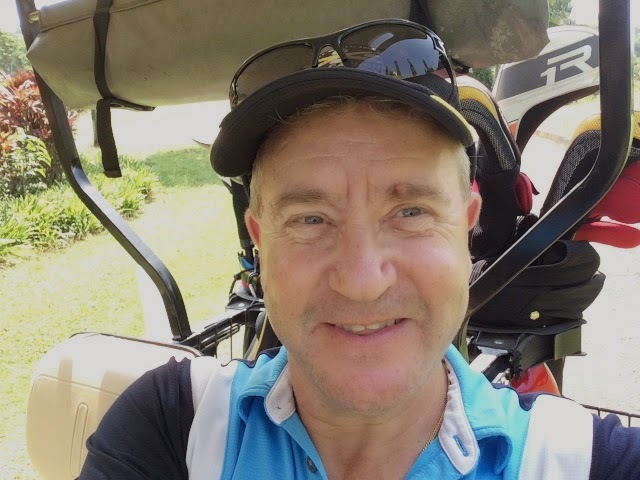 A good turnout today with 6 flights – only one withdrawal – Robert Mulliss had to call off at the last minute due to a break in at his house. 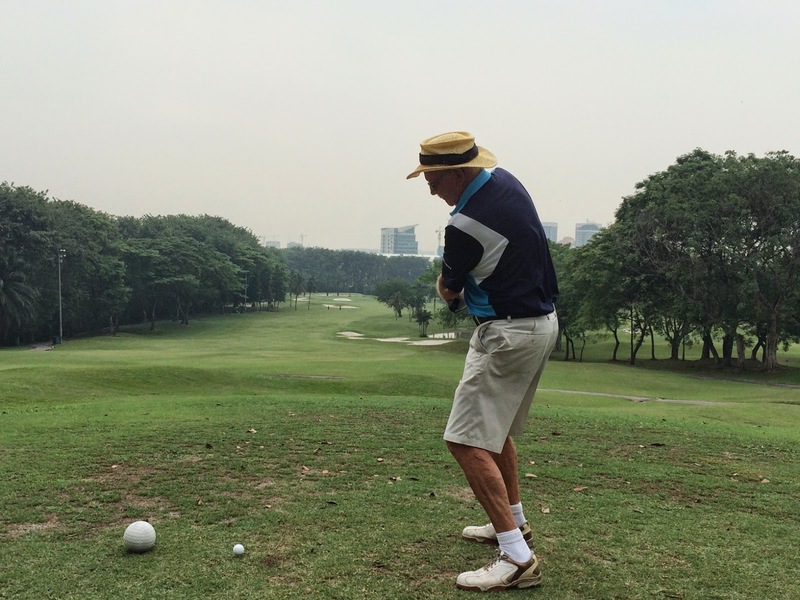 We were joined today with two guests – Ford Inglis and Tom Murphy. 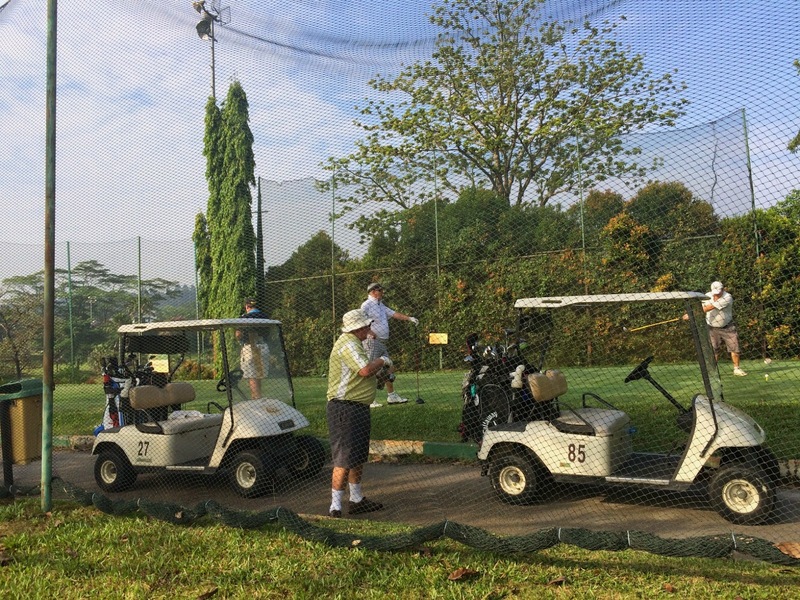 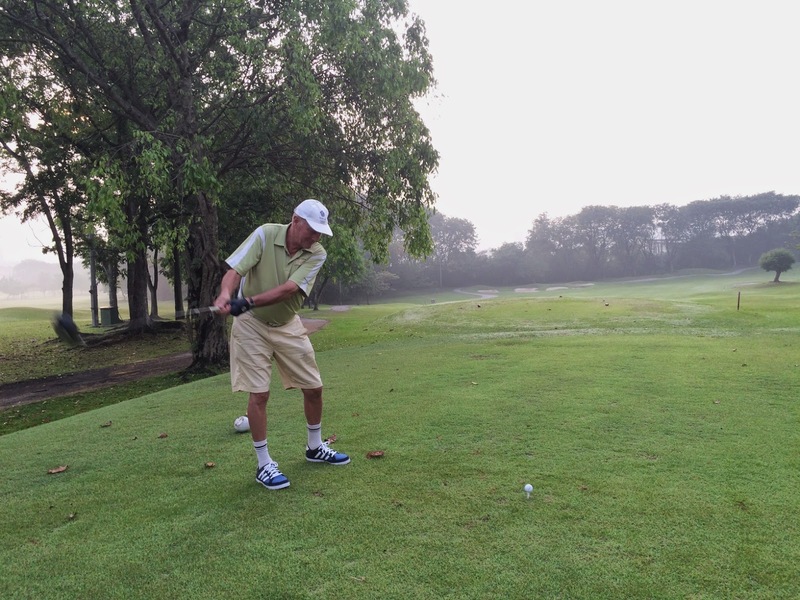 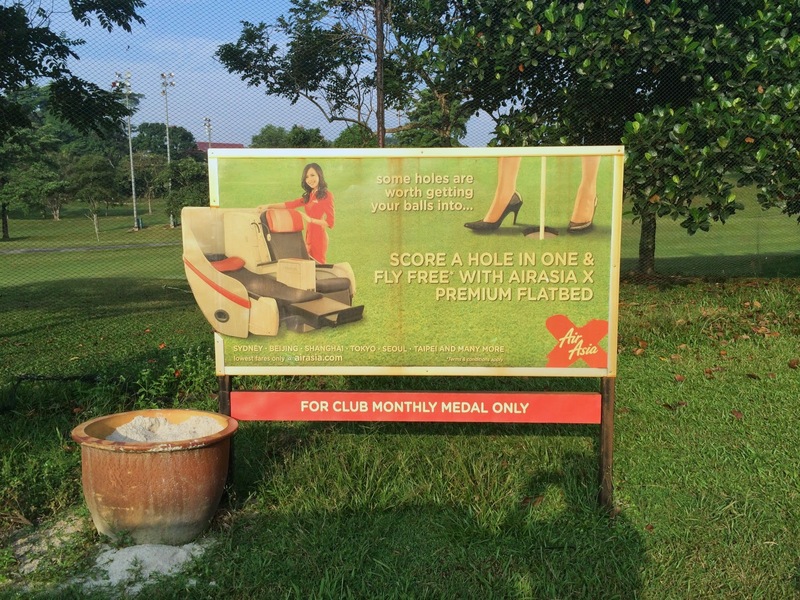 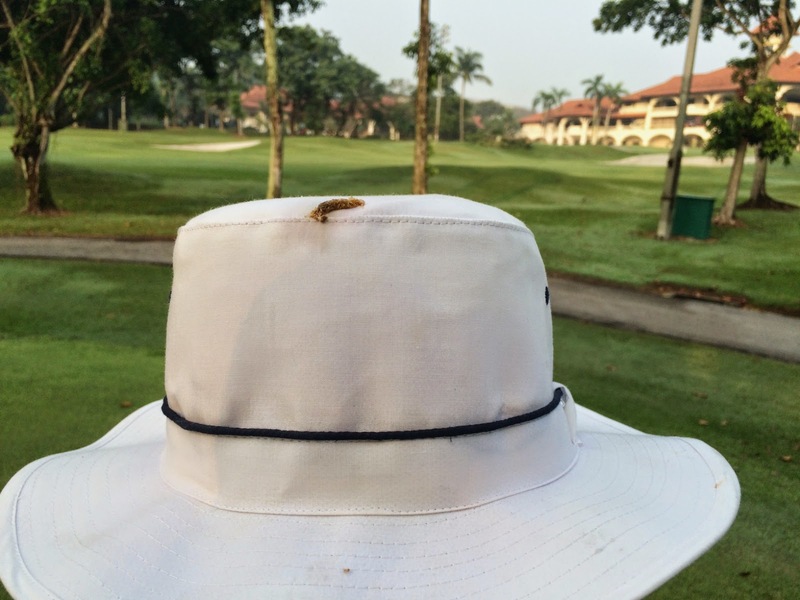 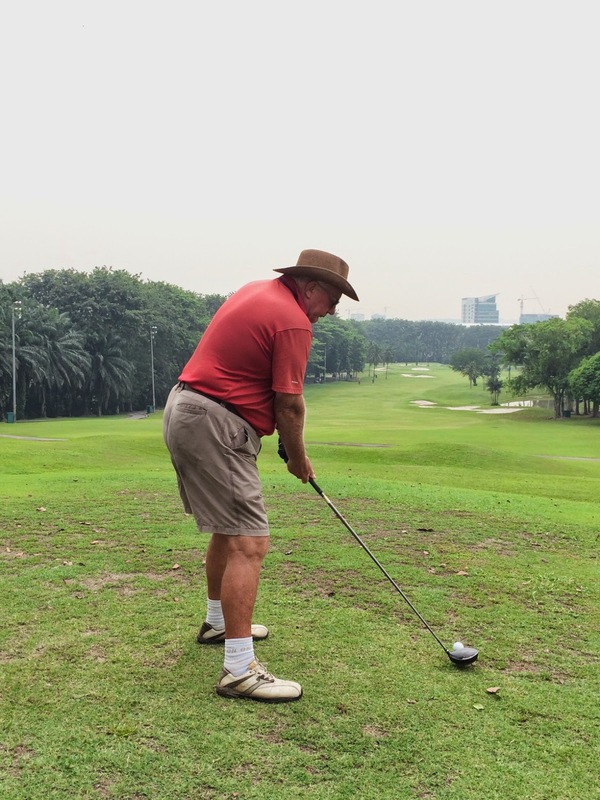 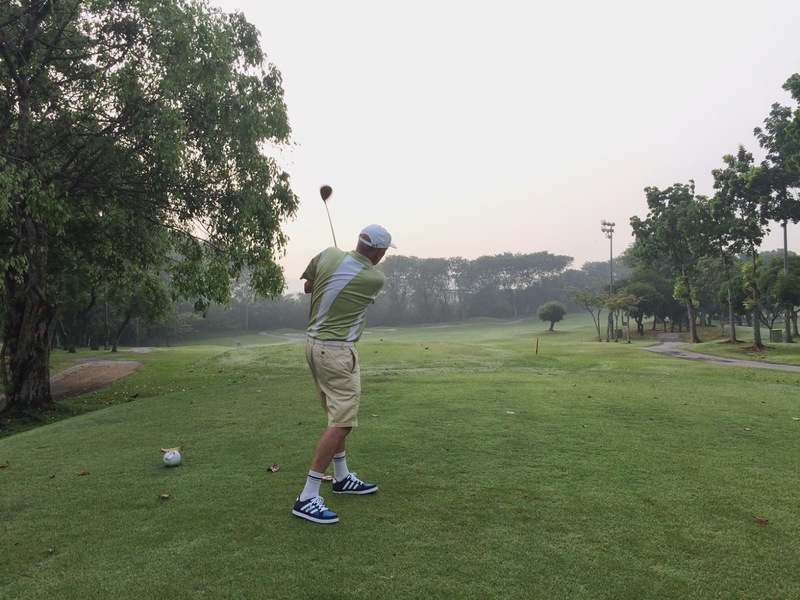 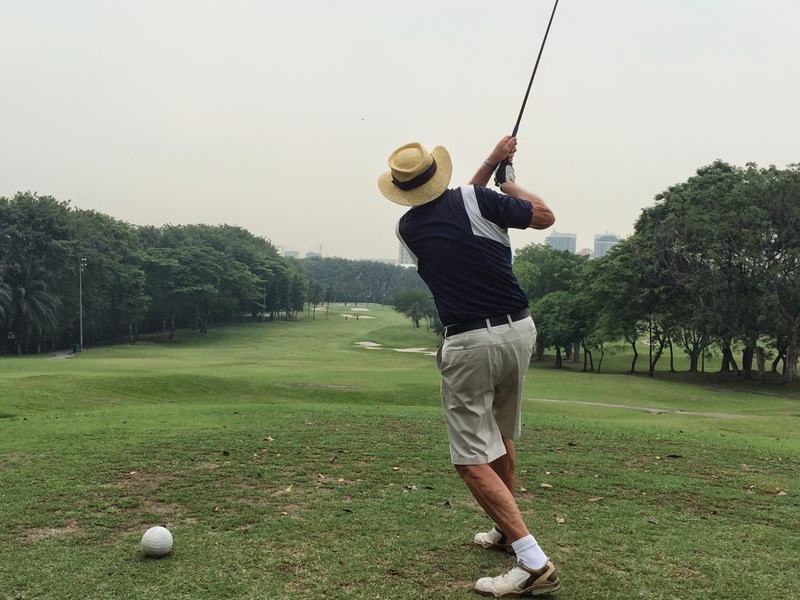 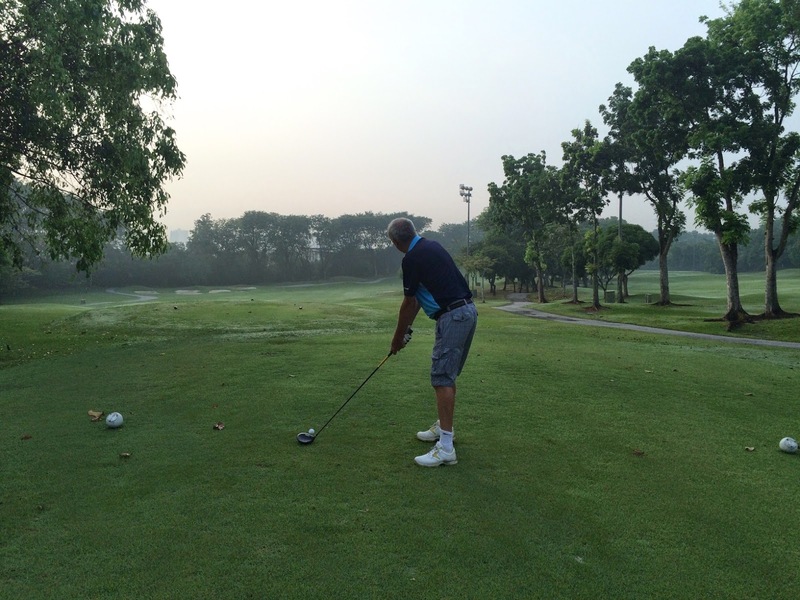 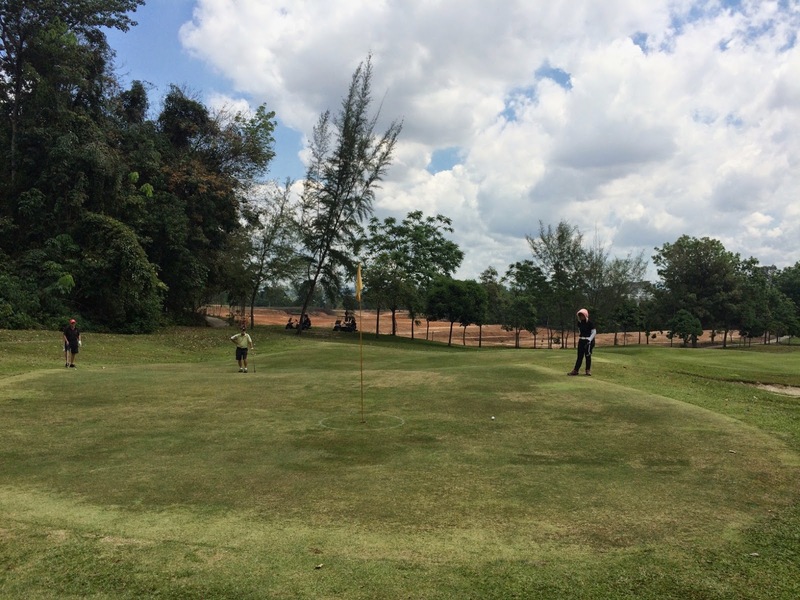 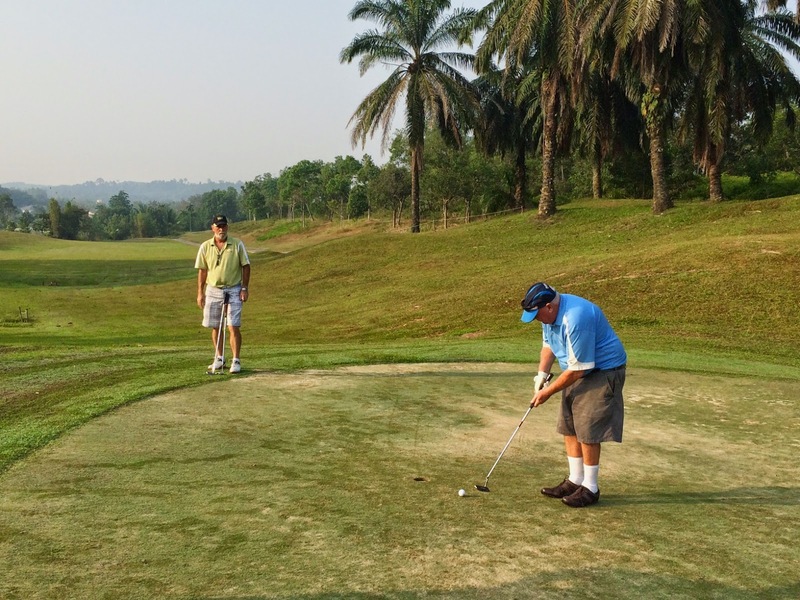 Registration was a little more complicated as we took advantage of using Maybank credit cards for 3 of the flights to get preferential green fees – many thanks to Mike Smith, Bernhard Rohman and Allan Wright for using their cards. 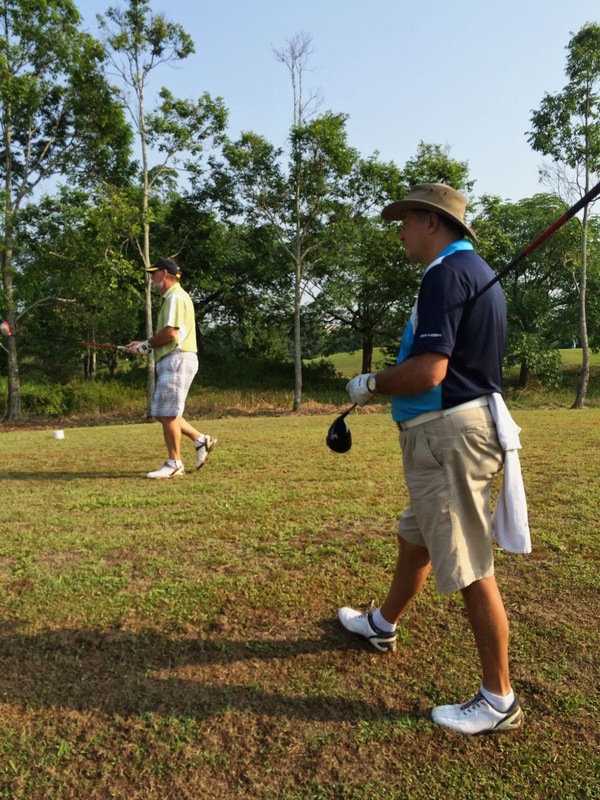 We got off from 2 tee boxes at 8:00am though and were not duly held up and were all finished by 1pm. 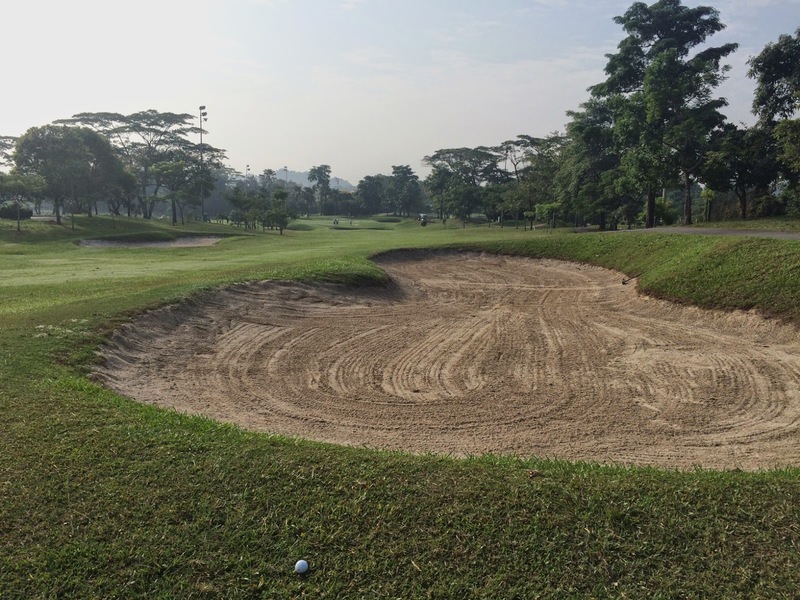 Course conditions were generally very good except the greens which had been treated by some white chemical in places and in particular the front 9 greens were covered in the stuff. 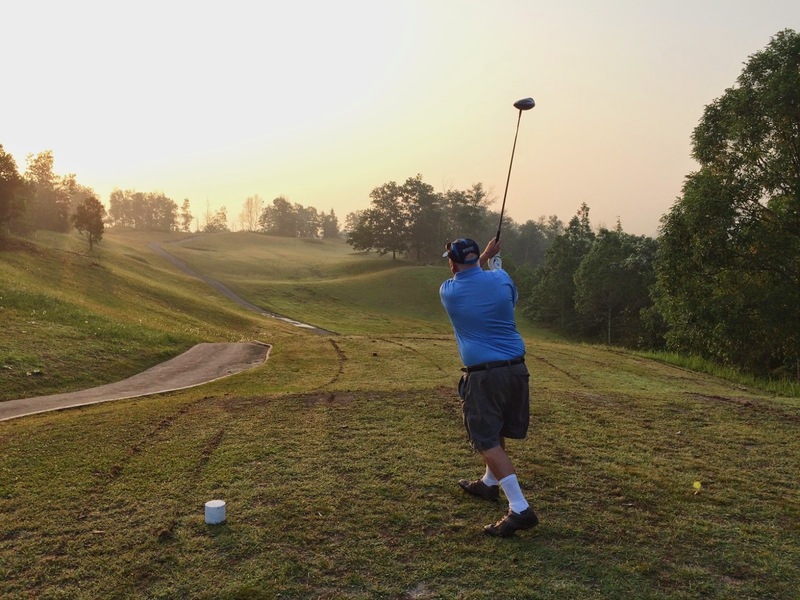 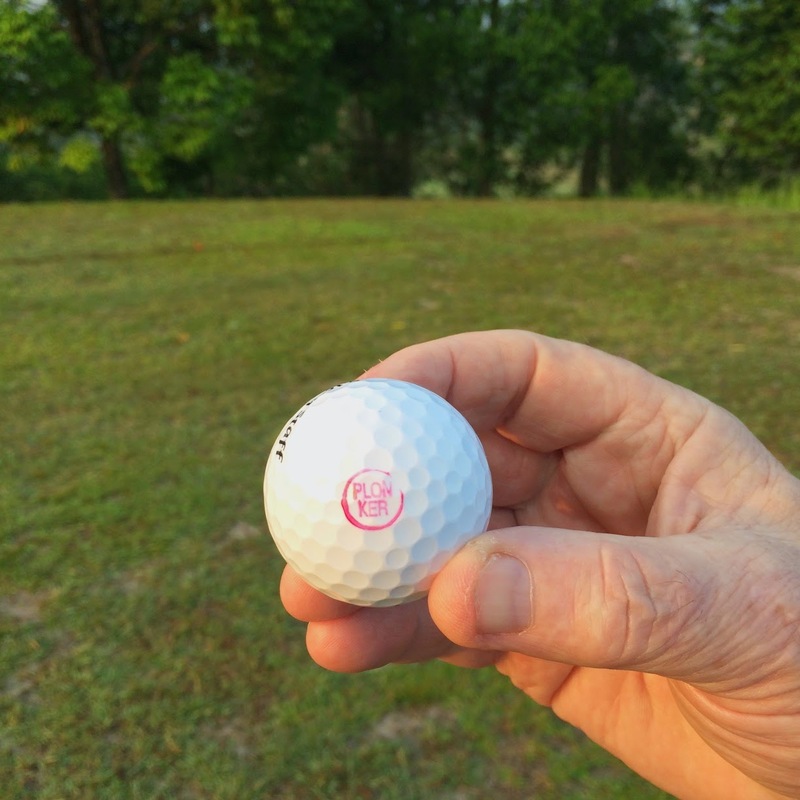 Weather was good but it did get a little hot ‘n steamy by the back 9. 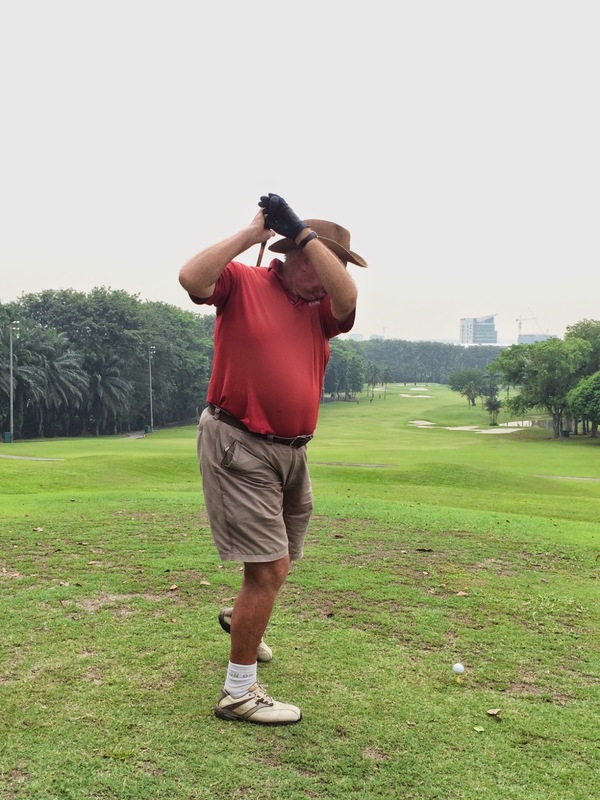 After the game 18 of us retired to the excellent Choong Foong Restaurant close to Subang airport. 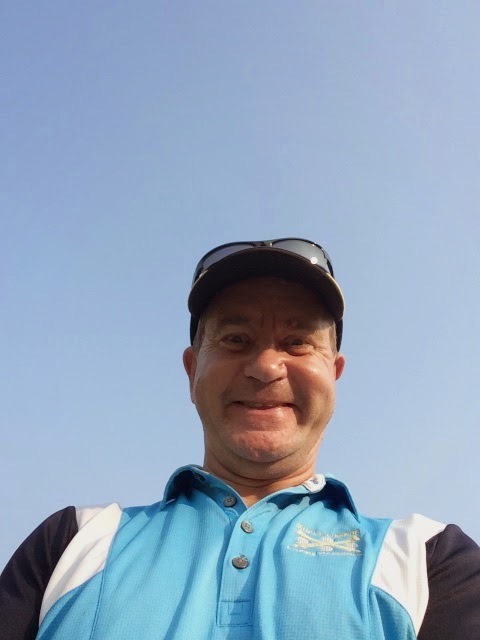 Martin Walsh, celebrating an undisclosed birthday, kindly sponsored the drinks – thanks a bunch Martin.